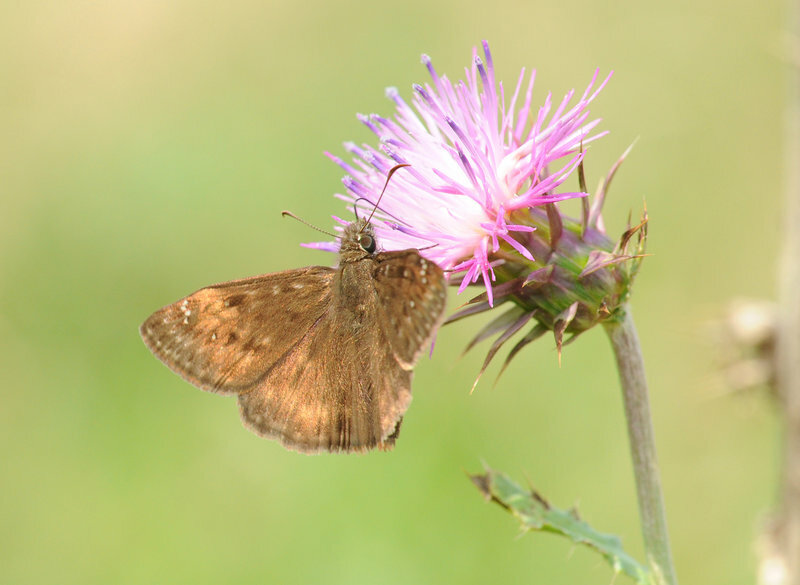 One fresh Appalachian Brown among five worn. Observations made from 3:20 p.m. to 4:45 p.m.
Near Drakesbad Guest Ranch in Lassen Volcanic NP. 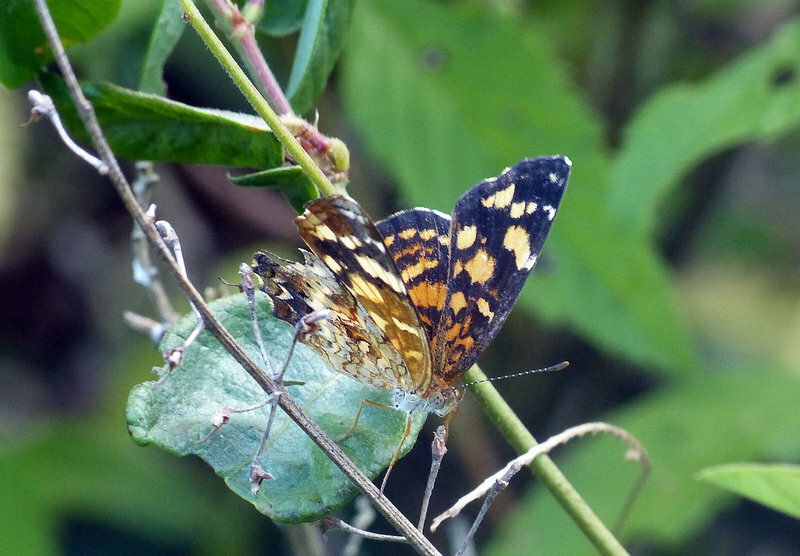 Most of the males were in tatters but the females were nice! 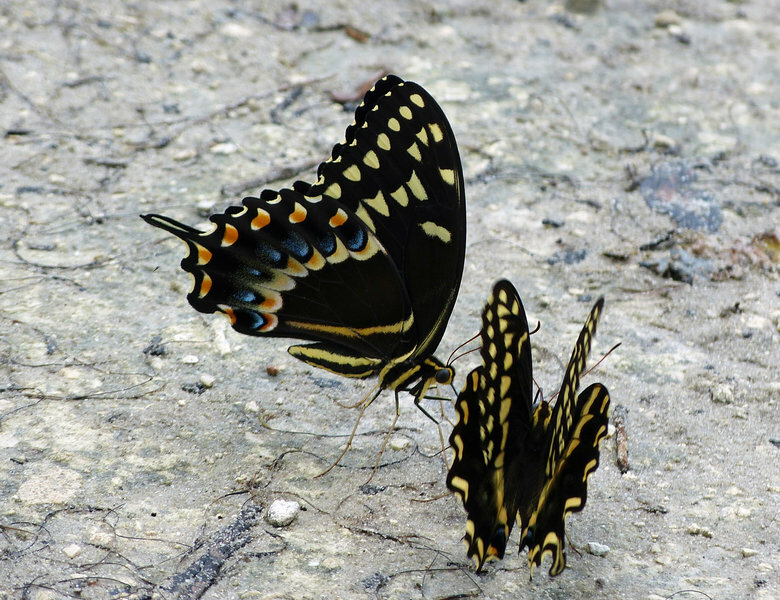 We went with the hopes of seeing Giant Swallowtails. 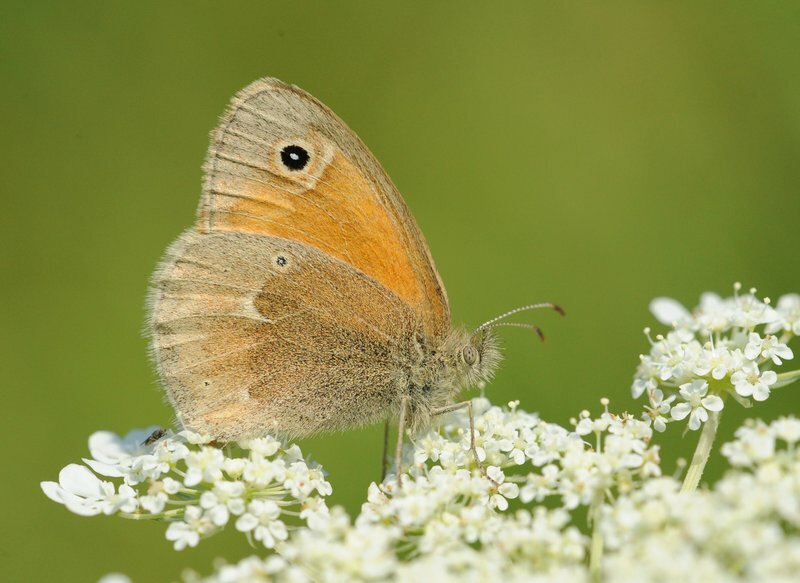 We weren’t disappointed, but the real treat was seeing 7 Juniper Hairstreaks, 6 of which were nectaring on Queen Anne’s Lace. Myakka River State Park - South Powerline Rd, pull offs and roadsides. Belinda Perry and Linda Cooper as part of an ongoing state park survey. Weather was good but area is very wet. 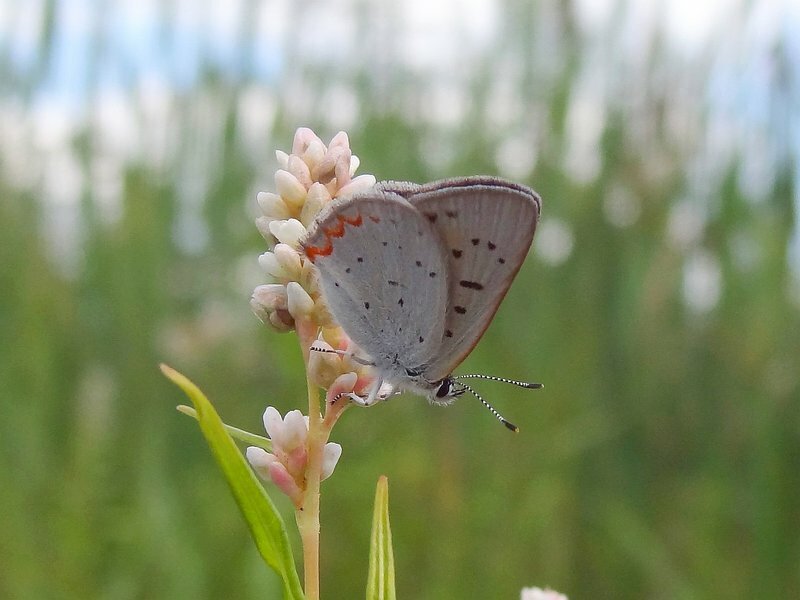 Not many nectar plants in flatwoods but powerline and roadsides had nectar plants. 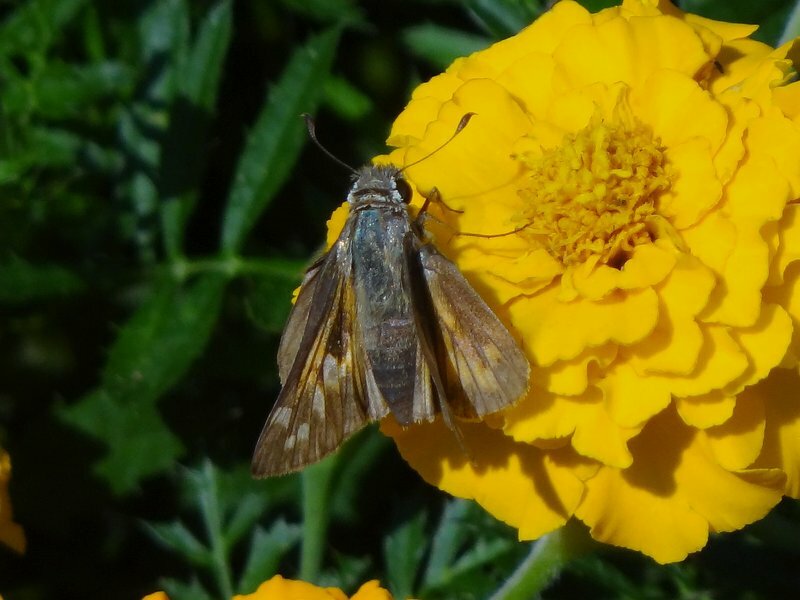 Brazilian Skipper was caterpillars only. Observed one Dingy Purplewing (Eunica monima) at 0815 am, Rio Grande Village Nature Trail, flying around the floating boardwalk over the pond. 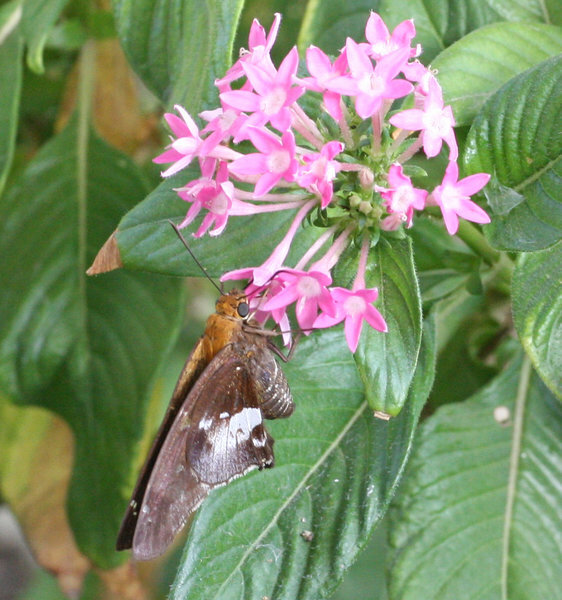 The butterfly landed multiple times on the boardwalk and then would fly over the water. Left fw showed wear. Second 2013 survey. Participants: Dave and Marga Cutler, Linda Cooper, Mike Stanfield, Dusty and Laurel Rhodes, Belinda Perry. Extremely wet conditions. 80% sun, temp. 88-93F. 31 species. Images: D. Rhodes, L. Cooper. 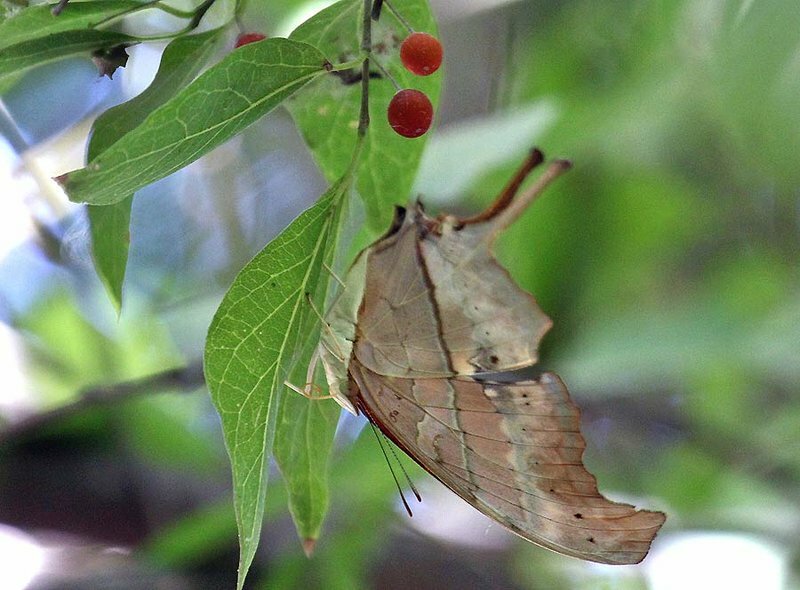 Having Jane Scott and Jeff Glassberg as house guests is a super way to get to see unusual butterflies in your back yard, or down the street! My first Monarch of the year, and indeed, I almost missed it, as it was flying over the parking lot as I was driving in. Monarch scarcity at this location at this time of year stunning! 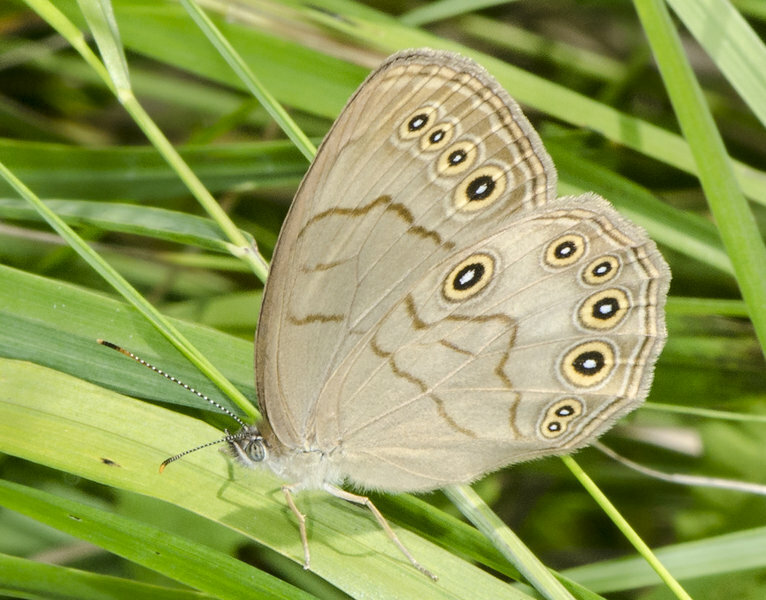 For that matter, complete absence of Vanessa species is also very unusual. And only my first Buckeye this year. 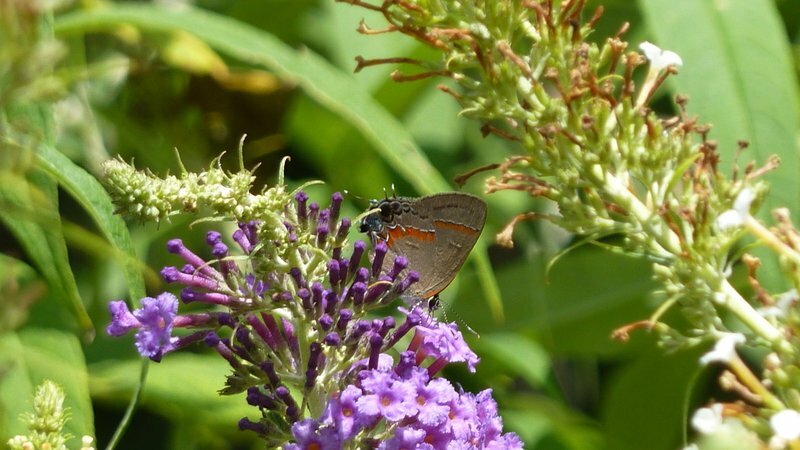 Riverdale, my backyard both species on dark purple butterfly bush at same time. 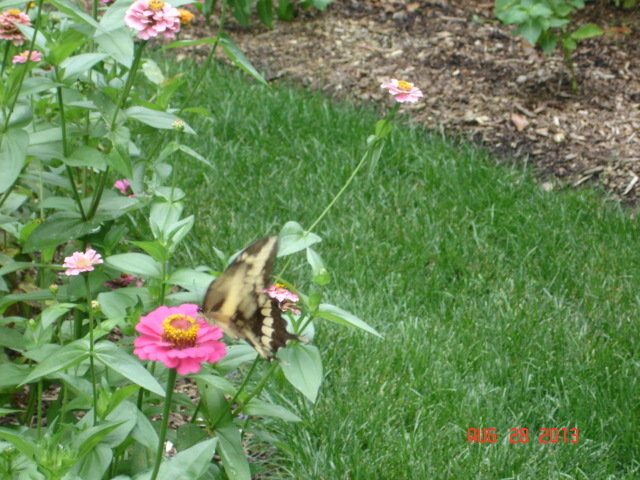 While visiting family here ( I live in FL) it was shocking to find a Giant Swallowtail visiting my Aunt’s fantastic garden! 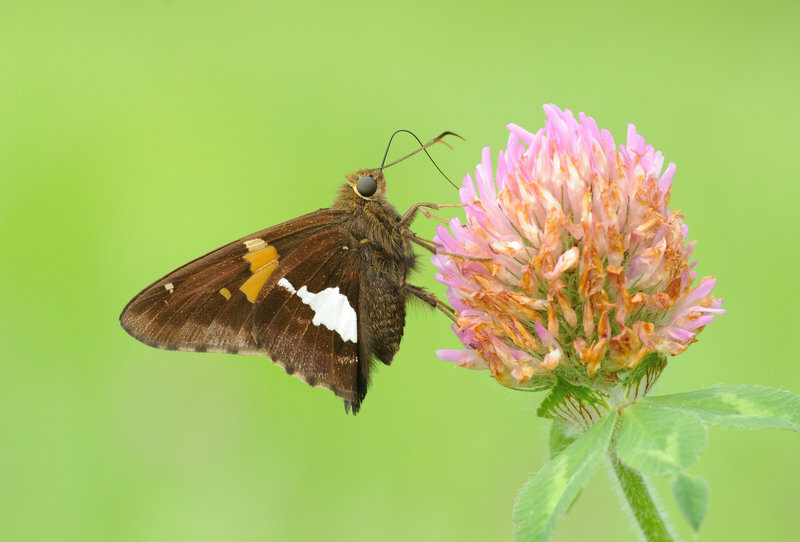 Many Silver-Spotted Skippers and Red Spotted Purples. 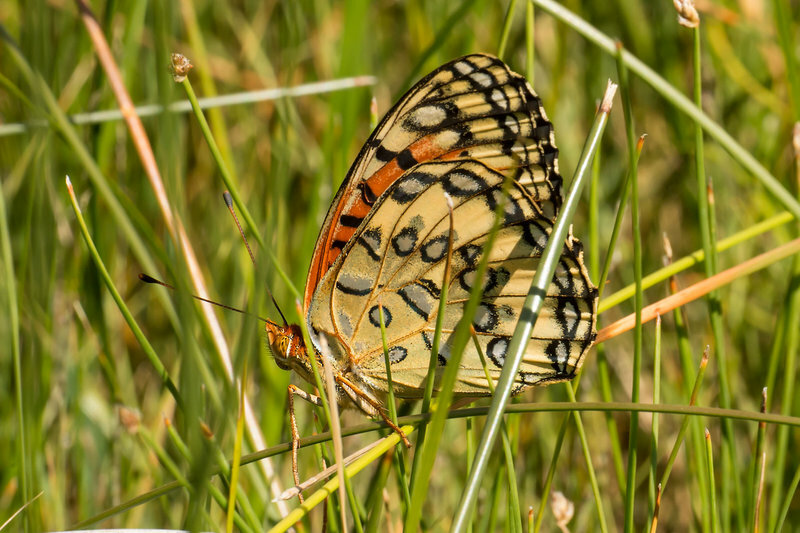 Below average temp (mid-60’s) and near constant cloud coverage, made for a tough day for finding butterflies. Two hours in early afternoon, partly cloudy, warm (80F) and dry. 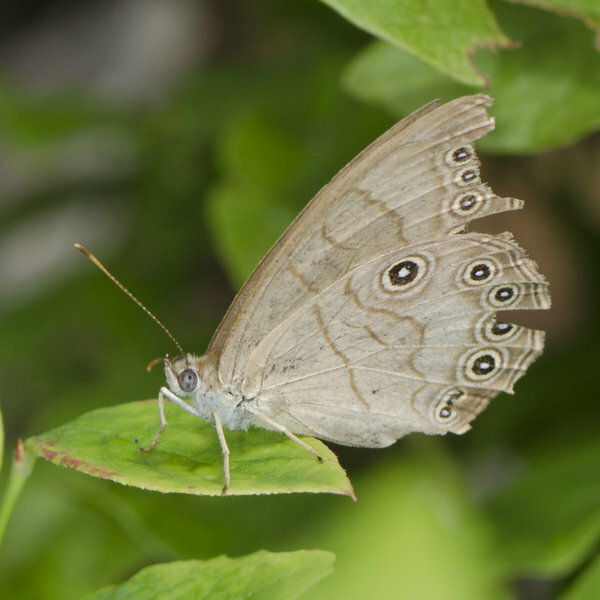 The butterfly garden benefits from being kept a little on the weedy side by furloughs of the federal arboretum grounds staff. 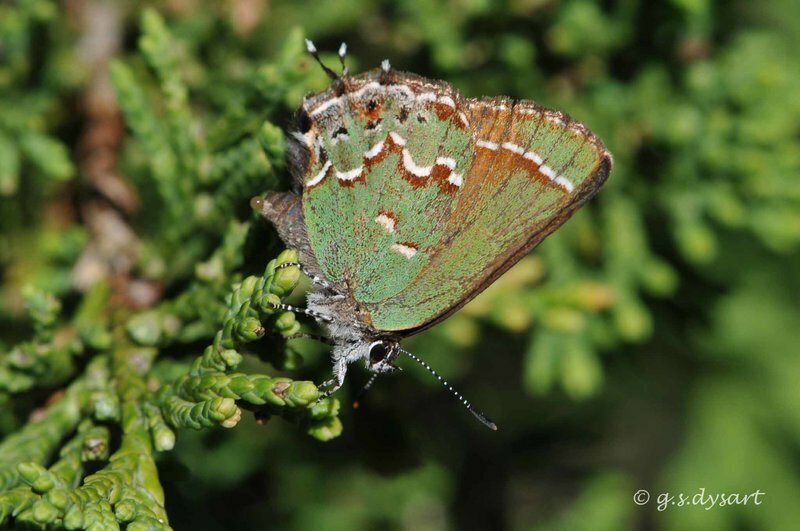 Red-banded Hairstreaks have rebounded in the current brood from very small flights earlier in the year throughout the mid-Atlantic; female Zabulons emerged this week to fly with males that emerged last week. 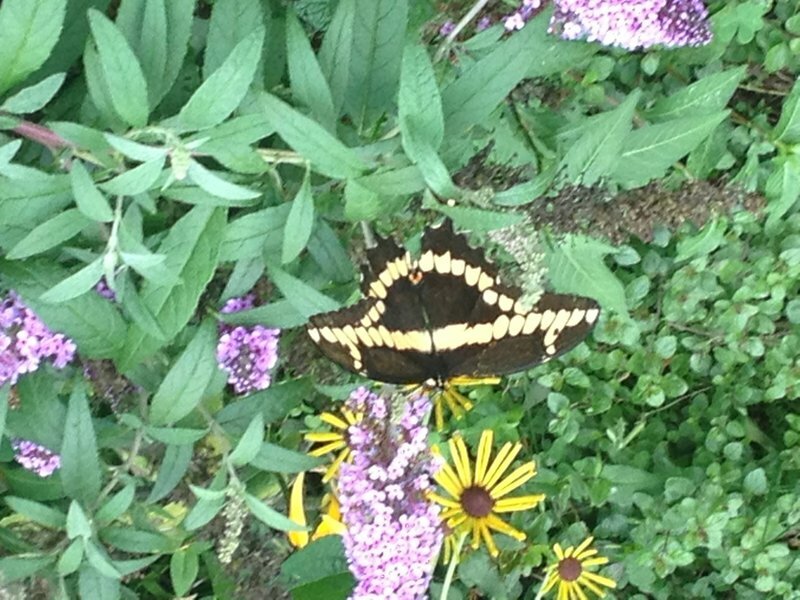 Eastern Tiger Swallowtail numbers have dropped dramatically this week and most flying adults are showing a lot of wear. 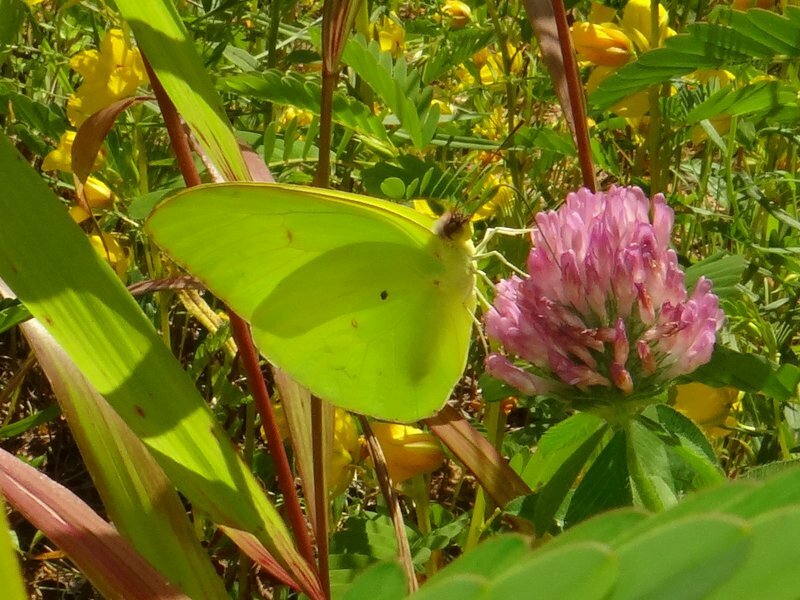 Abundant nectar, including clethra, buddleia, various perennial sunflowers, vitex, partridge pea, senna and various mints. Weather: 84-82 °F, mostly sunny to partly cloudy, humid, and calm. 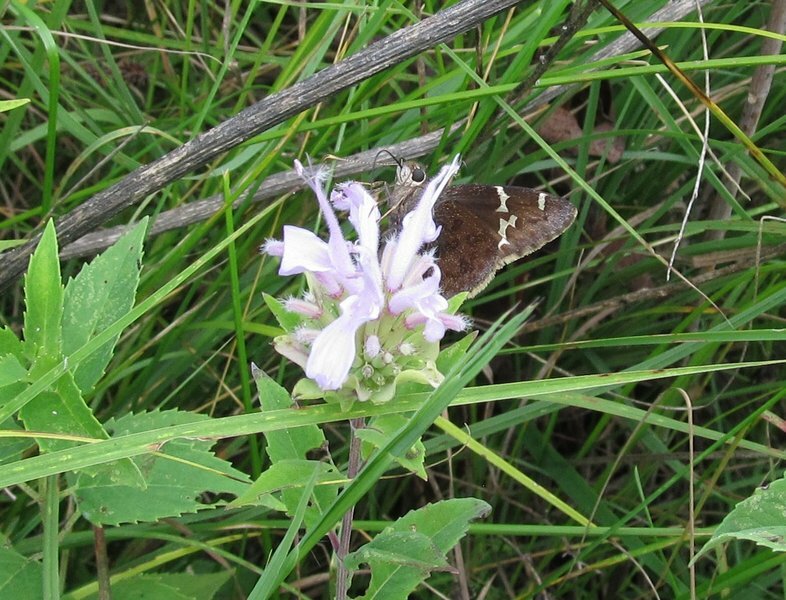 Habitat: I focused the majority of the visit in nicely restored mesic prairie/meadow and sunny woodland margins at the property’s western extent; Liatris pycnostachya, Monarda fistulosa, and Pycnanthemum virginianum were blooming abundantly. I spent the remaining time (18:00-18:45) along fields, sloughs, and gravel roadsides down in the namesake lowlands. 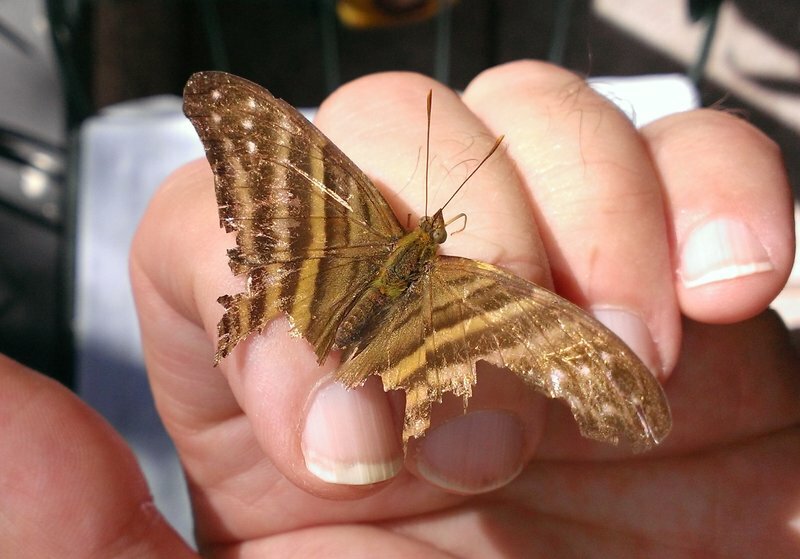 Notes: This is the second year in a row that I have encountered Southern Cloudywing late July-Aug at this location. 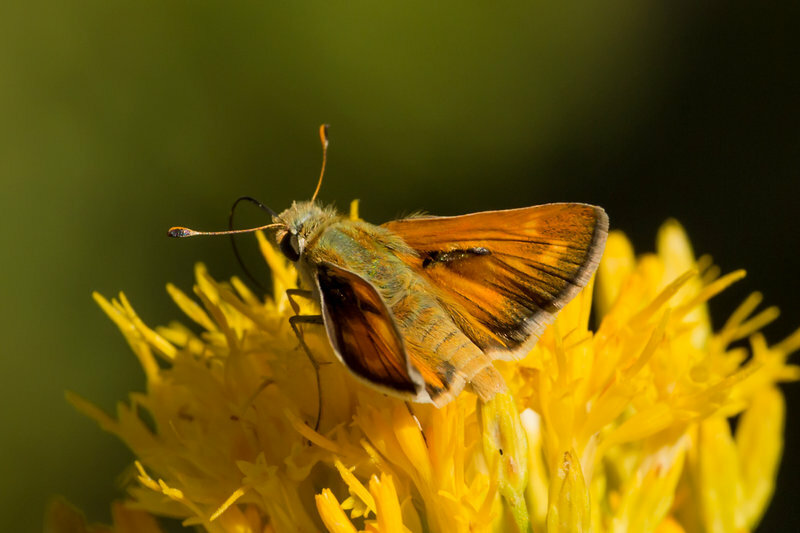 Among smaller species on this visit, Tawny-edged Skippers were most conspicuous, as males were persistently swirling up to chase off invaders, including bees and wasps. Acres of Partridge Pea at the preserve but no Little Yellows as occurred in last year’s mass movement in the state. Ginny spotted this Broken Silverdrop in our front yard. It’s a Lifer for us both. It turned up again the next day in the yard of our neighbors the Dauphins. a first here at my own backyard! 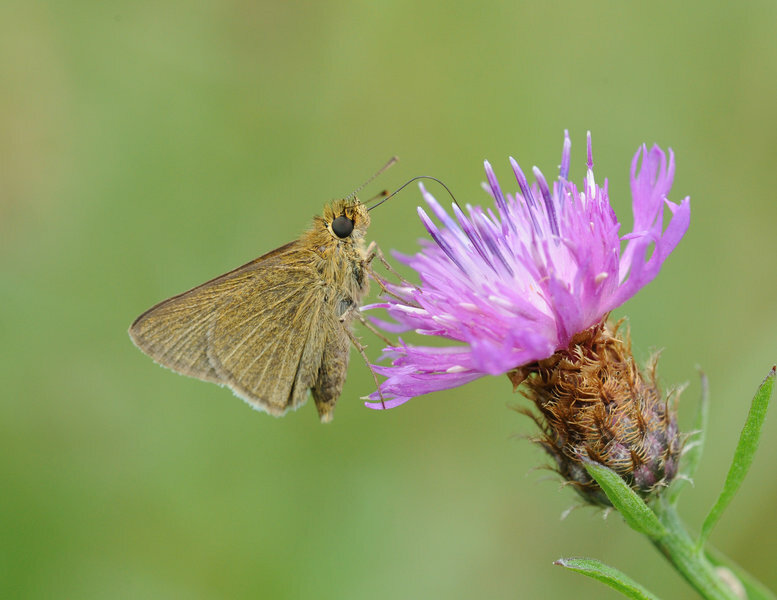 The numbers were very high as the 2nd brood of a couple of skippers are very strong this year! 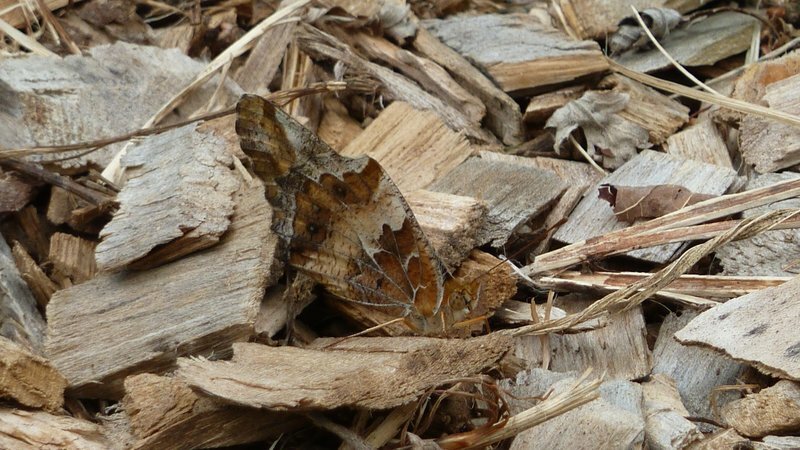 Also in Bayfield County we saw a Green Comma at my cottage near Washburn. 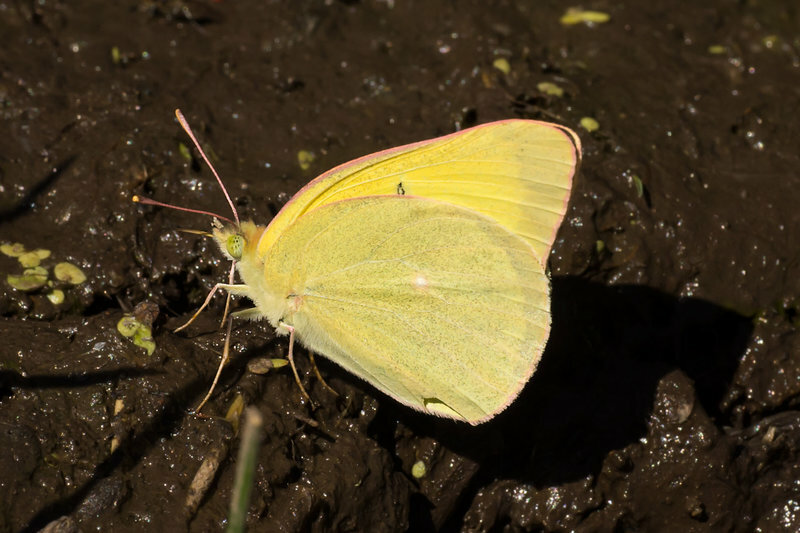 small city yard about 75 ft X 120 ft.
Also saw my first Cloudless Sulphur of this year flying above Route 40.
part of a NABA-NJ field trip, this is only what I saw. Gray Commas have been rarely reported from NJ. Sleepy Orange is having a good year — moving north. 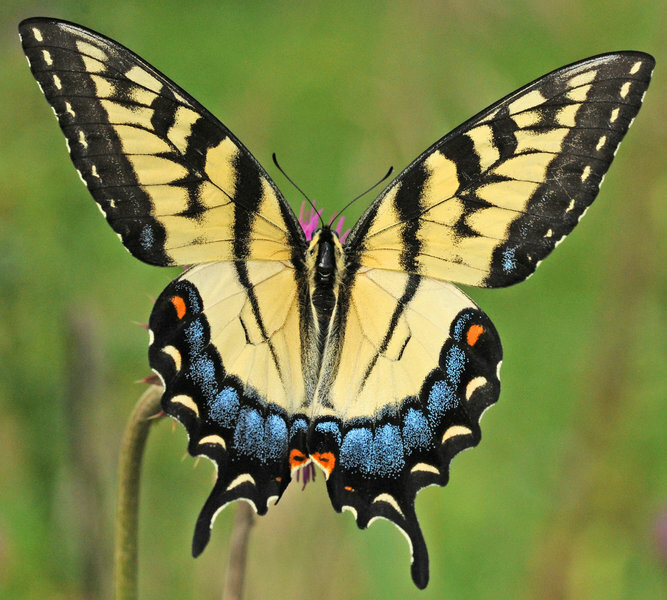 During a weekend visit to Northern New York we witnessed two different Giant Swallowtails fluttering from flower to flower. 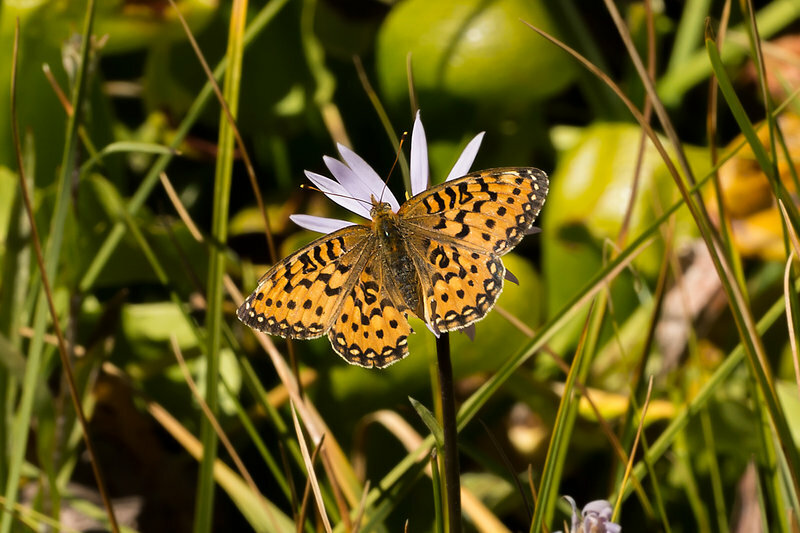 We looked for the butterflies the following day and sure enough they were back to feed again. 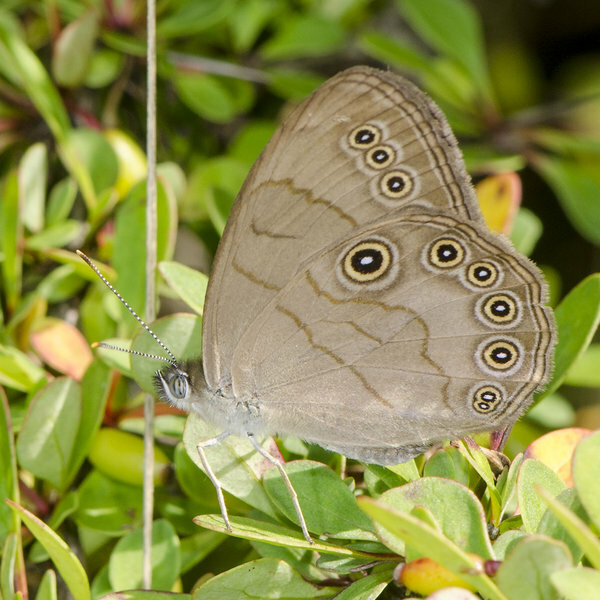 Here are two pictures of the same butterfly. 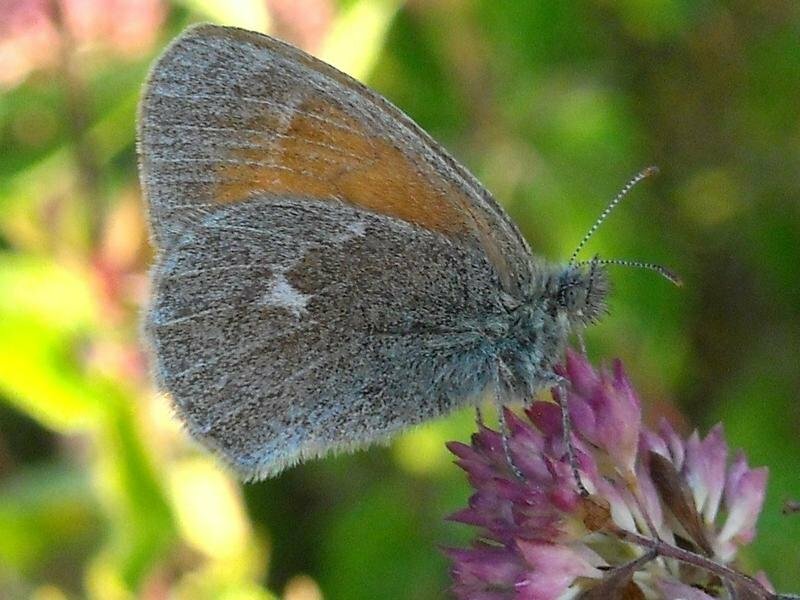 An unplanned meet-up with Rich P resulted in coverage from 10am-1pm and the best diversity of the year at this site, highlighted by the continuing multiple White M Hairstreaks (but no snout). A decade ago this would have been an unusual sighting. But for the past few years I’ve seen them fairly regularly. This individual doesn’t look like it’s experienced any sort of long journey to get here. 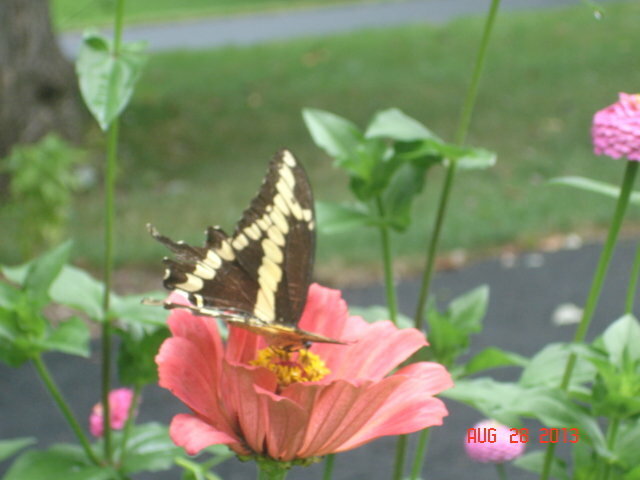 Not seeing a diversity of species this summer here in Eastern PA. A neighbor, Bob Schmidt, however, photographed this Giant swallowtail in his yard this morning. 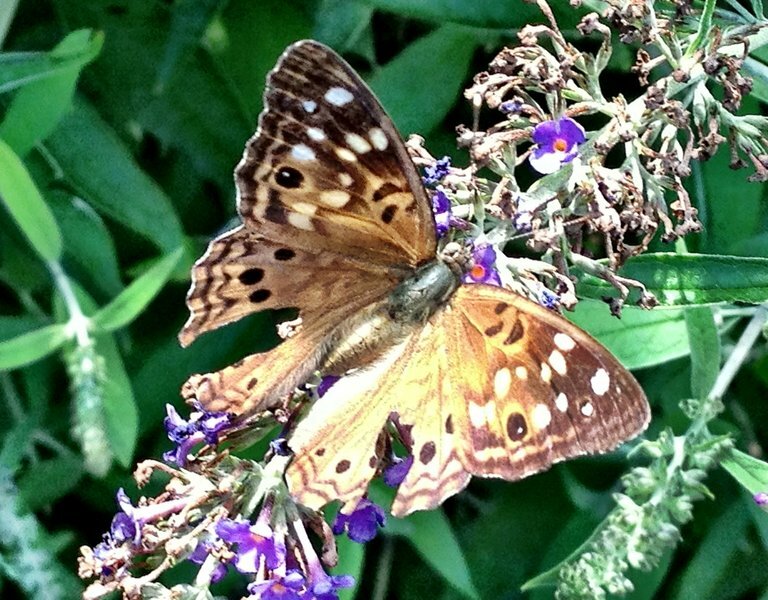 Riverdale, my backyard, on purple butterfly bush. Mostly sunny, windy, high 70’s. Butterflying with the ghost of Teddy Roosevelt. Bully! 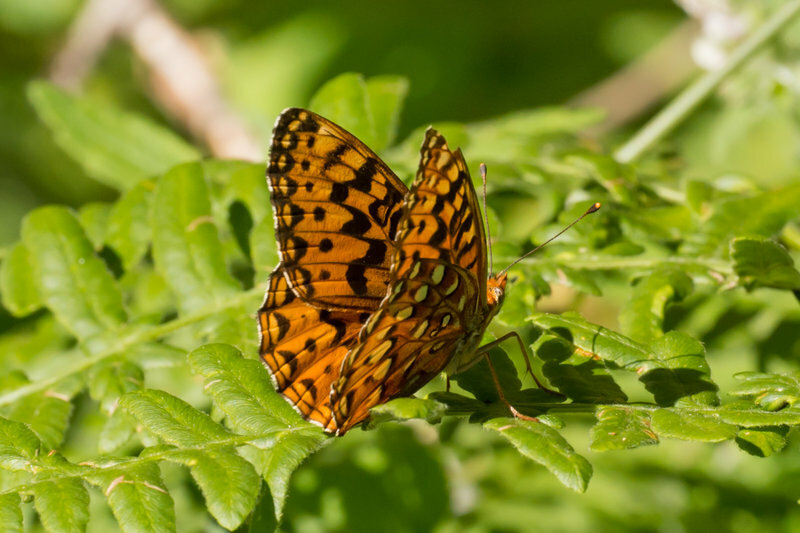 Appalachian Browns varied from fresh to tattered. 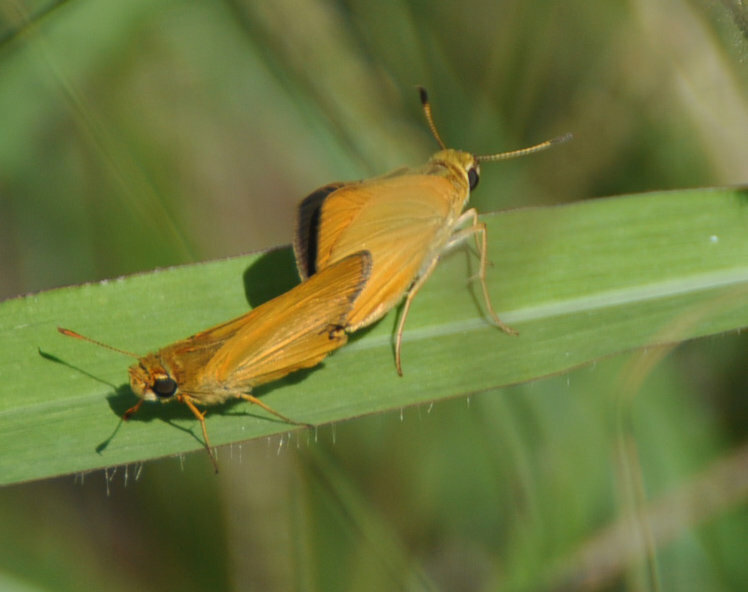 Courtship behavior was observed. This is a 3300 acre site toured by auto only, no hiking permitted. 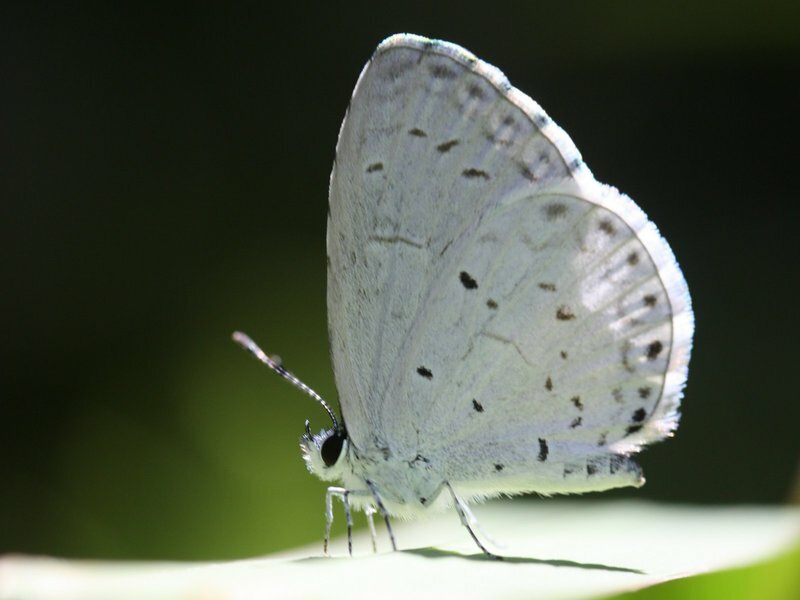 We also found 1 Spicebush Swallowtail cat on Sasafrass & 3 Question Mark cats on Hackberry. 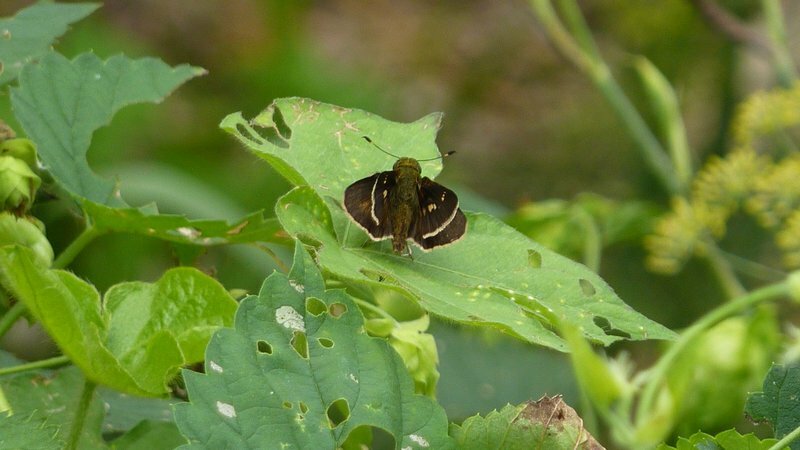 6 of the E.Tigers were dark females. The females were just coming out - only saw 2. Many more males - about 20. Along Fort Sage Road at the north end of Turtle Mountain in the Fort Sage Mountains. 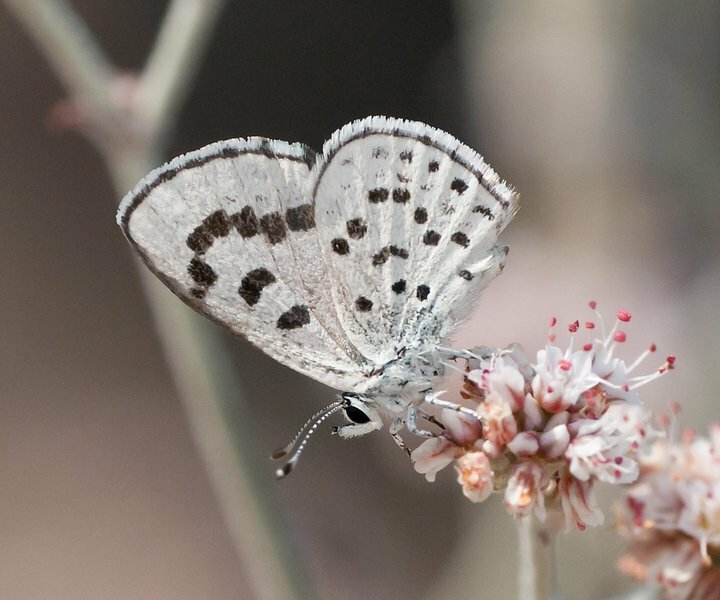 The Rita (Pallid) Blues (Calneva subspecies) were easily seen on their larva host plants - Erigonum nummulare. Near Ramshorn Campground in Rye Patch Canyon about 1 1/2 miles east of Hwy 395. 2-hour walk. 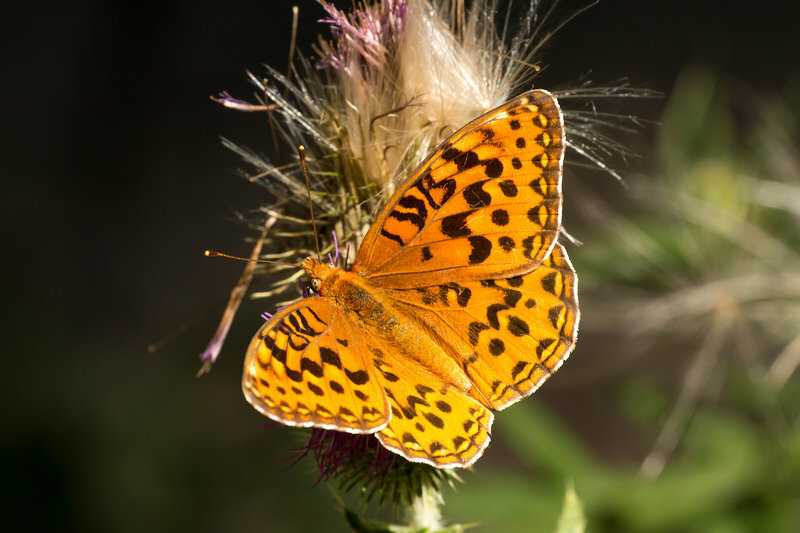 Each time I saw a large orangish butterfly from the distance, I was hoping to see a Monarch. 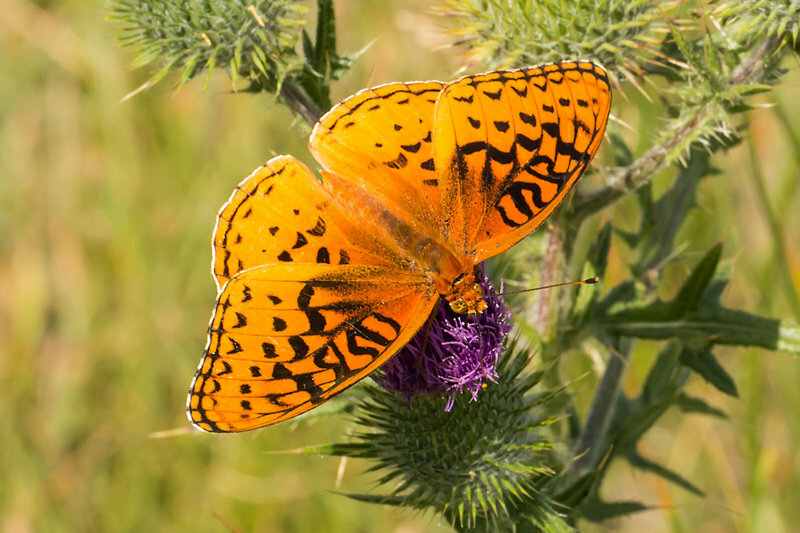 But each time, it was a Great Spangled Frit. instead. 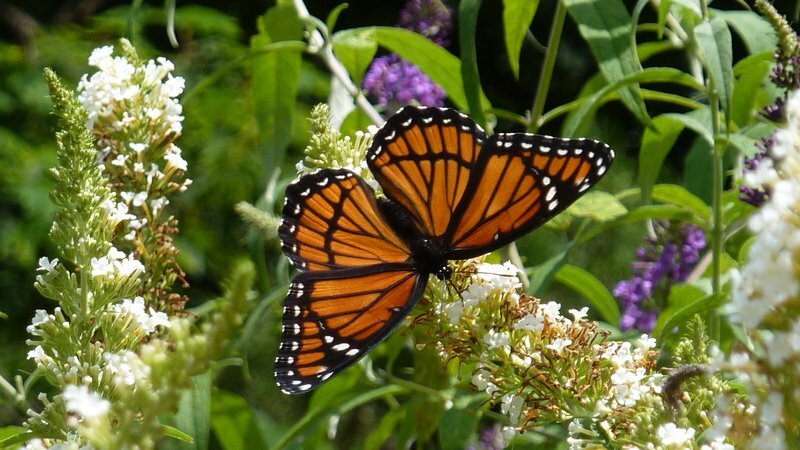 Then, on final check of butterfly bush at edge of parking lot - just before leaving - a lone Monarch! 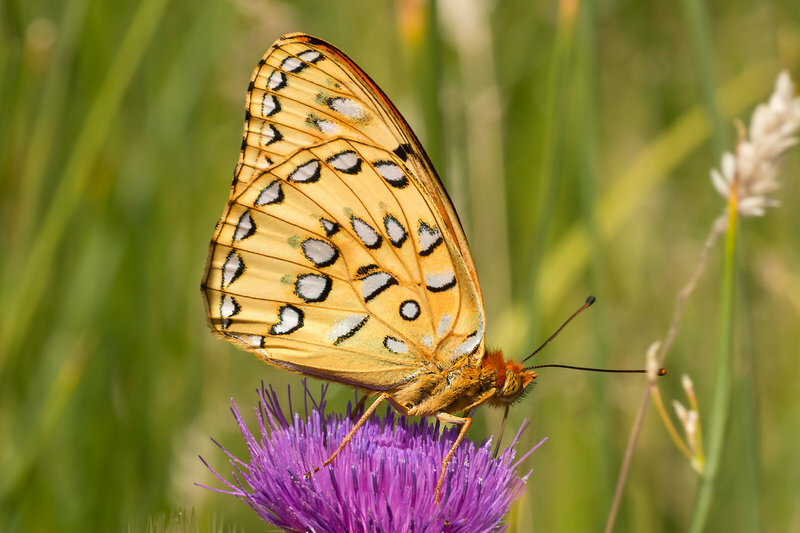 One Great Spangled Frit. kept chasing it. 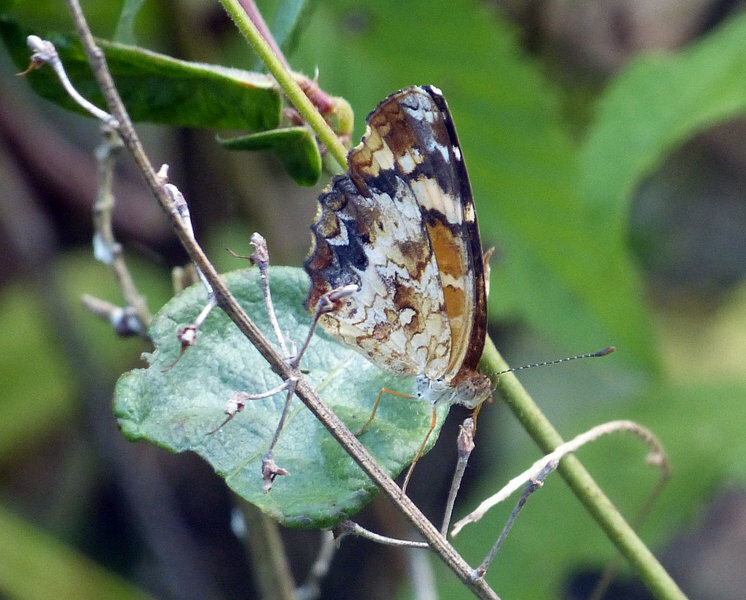 One Painted Lady, but absence of Vanessa species and Common Buckeyes is still noticeable. 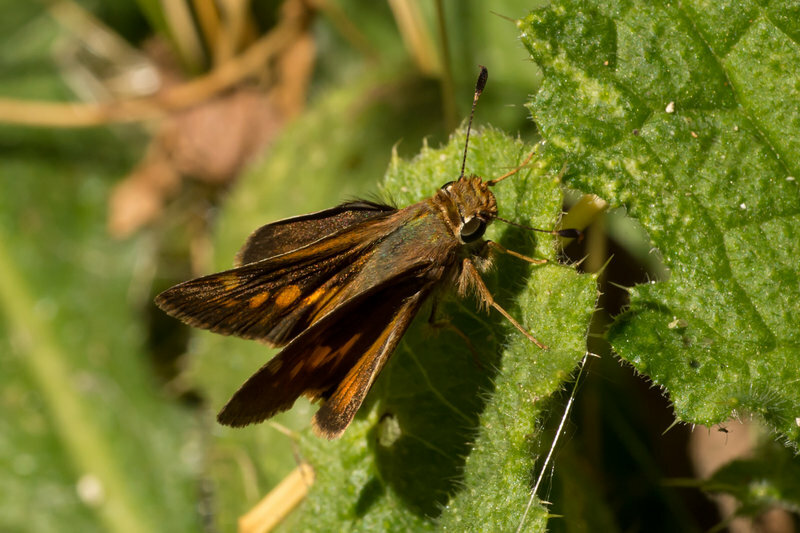 Searched bluestem fields for Leonard’s Skipper, but no luck! This has been a very good year for Harvesters. I had the chance to stop here over two days ahead of a business engagement, and saw a few regals from about 2-3:30. 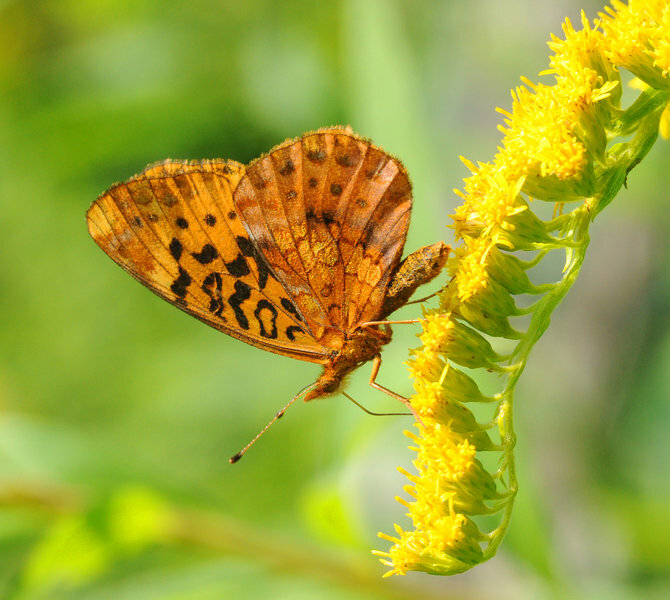 In the course of two days I only saw one other regal elsewhere in the preserve (and that was a male), these were all females, mostly on some remaining blooming ironweed. When I revisitied the same location at midday on the 18th I didnt see any. Still trying to figure out how this park got its name, but loved visiting it. 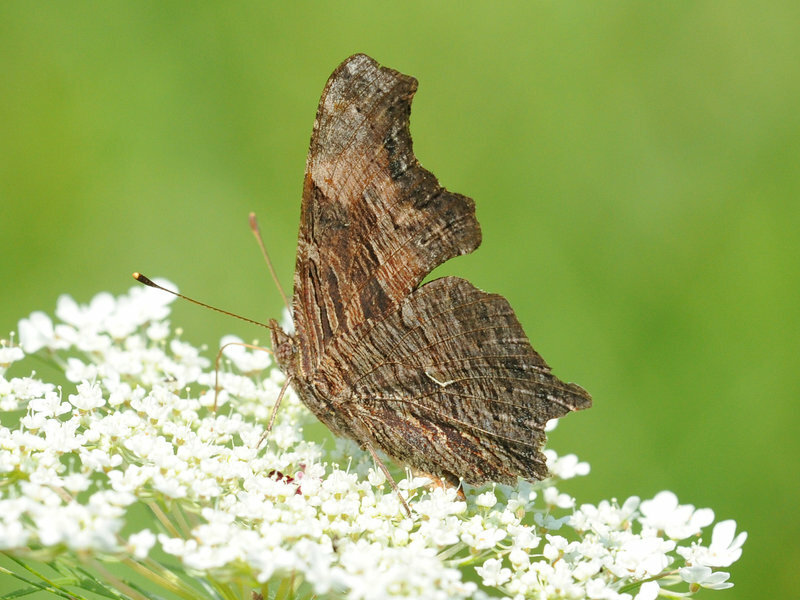 First and only so far this year.Well worn-possibly a traveller? 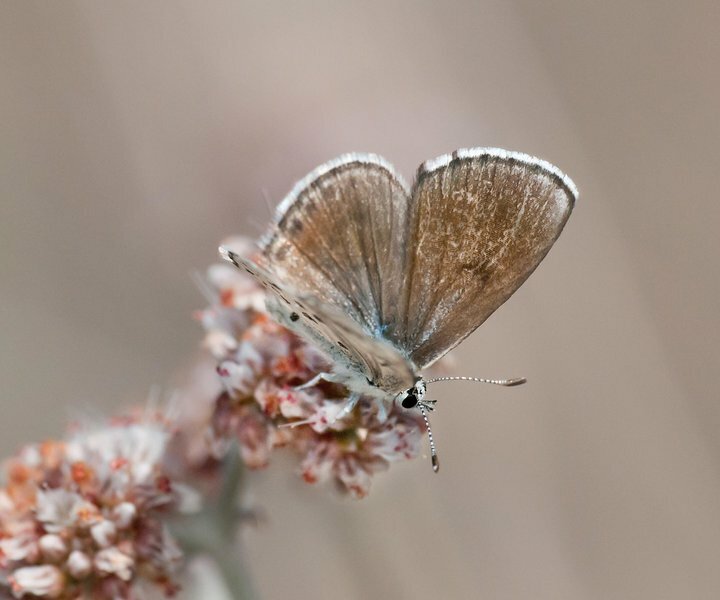 This is a known locale for Pallid Blue based on Gordon Pratt’s article in American Butterflies, summer 2008 issue. 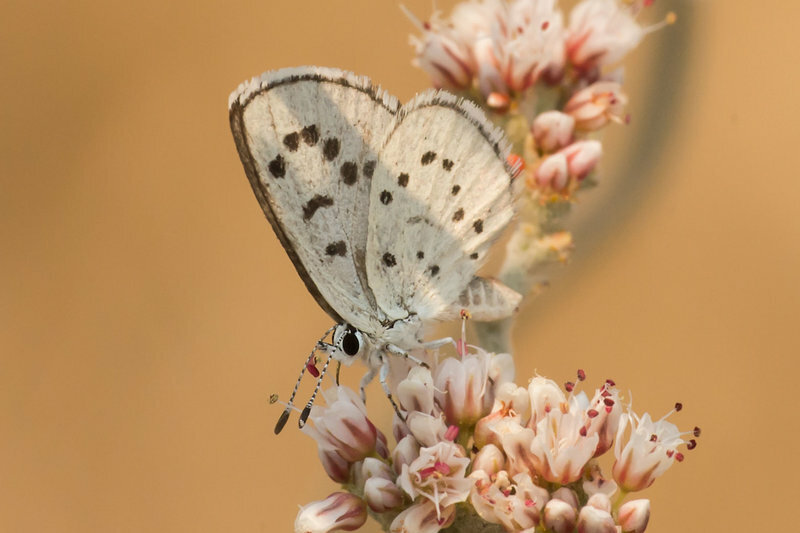 I’m listing the Euphilotes pallescens calneva under the Rita Blue category to conform to NABA naming conventions. 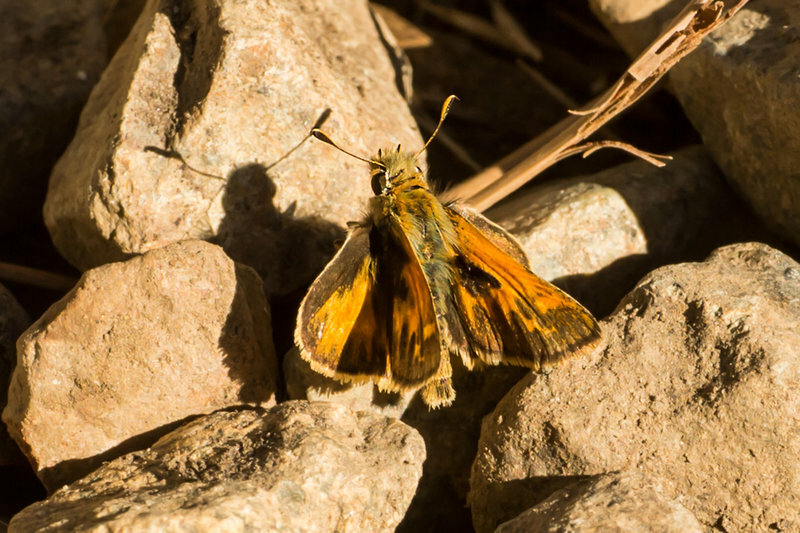 The Monarch was seen on the drive to the Fort Sage Mountains, in the town of Susanville, Lassen County, California. 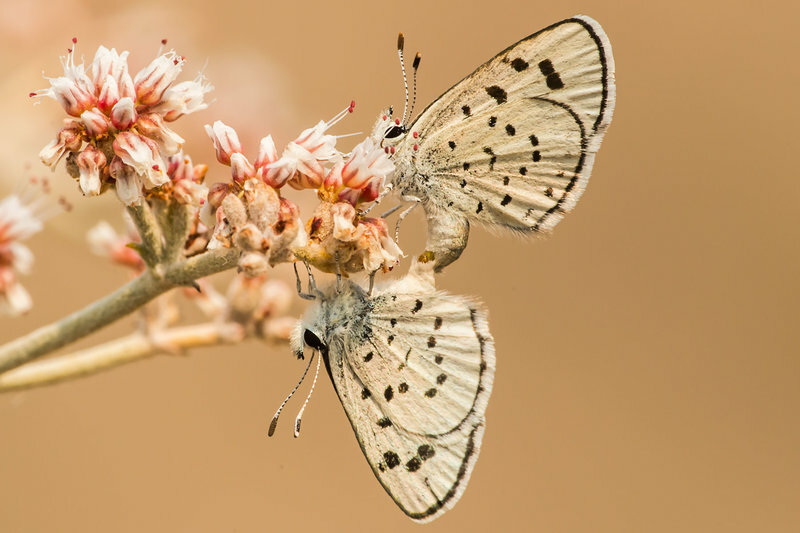 And the Pine whites are out in numbers in the Lassen National Forest west of Susanville. Various stops between points. Collective species account given. Arrived late afternoon, in the light rain. Not expecting much, just wanted to find the place. Found a lot more than I expected and it gave a great hint to how good a spot this can be when sunny! 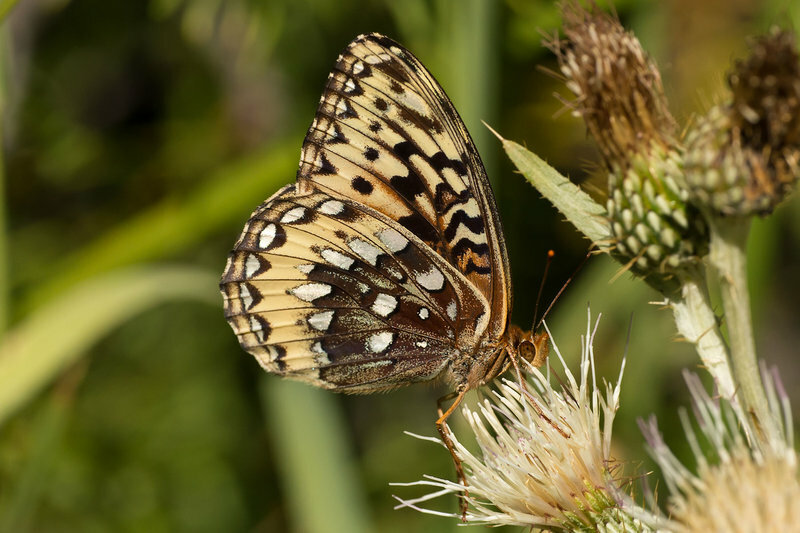 Sightings at either the visitors center garden or at Kingfisher Pond access area. Weekly Survey. With Alan Wells. 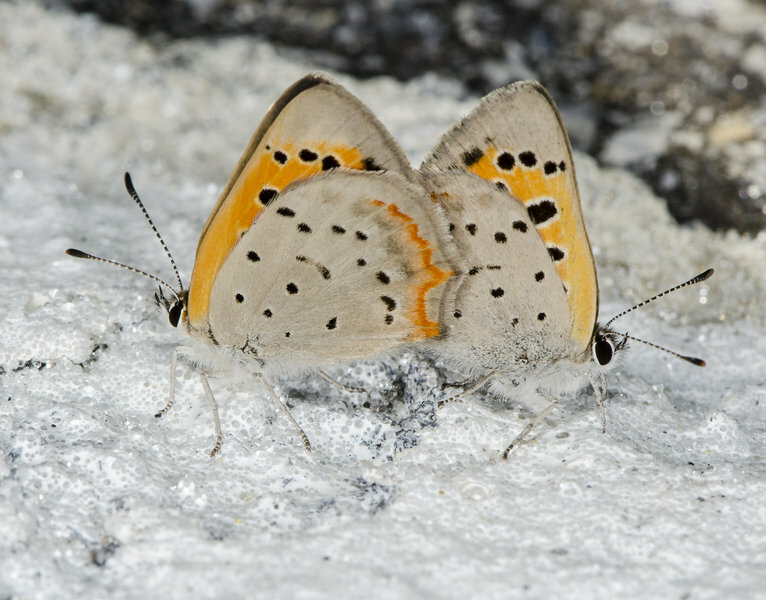 Despite appearances, the coppers are NOT mating on snow, but on the white road line. 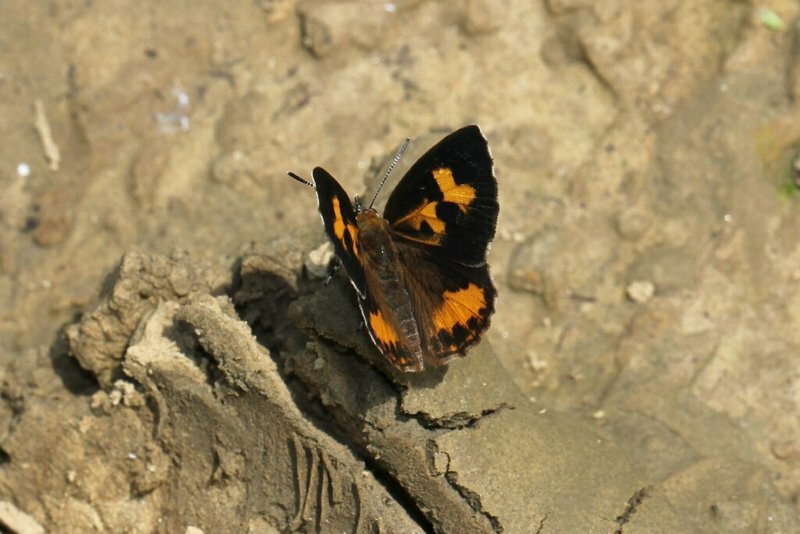 The Appalachian Browns seen closely were fresh. Amazing patch of activity, mid-afternoon. Location is on the corner, behind where an old blue Oldsmobile is sitting for sale. 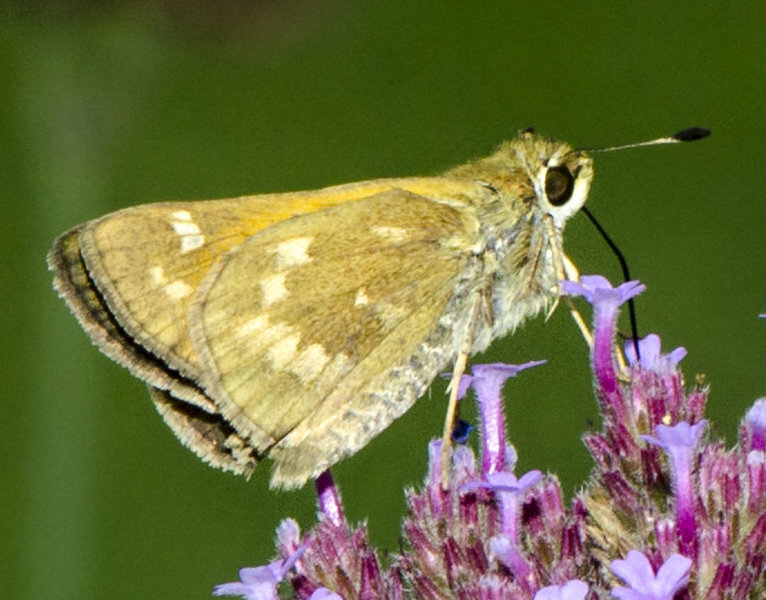 All butterflies observed feeding on three Butterfly Bushes next to the CandleLite Inn. 3 to 6 mormon metalmarks on August 24 , 2013 . Rarely if ever documented in this county . 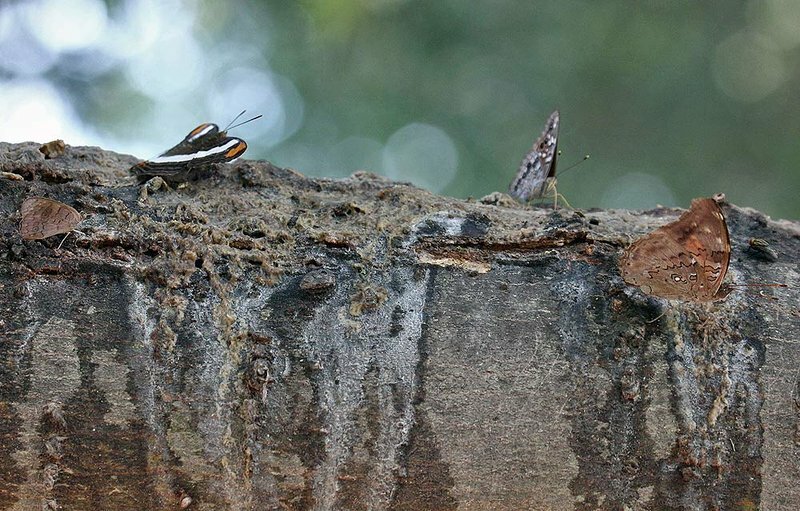 Still a noticeable shortage of Monarchs and Vanessa species, although the three Red Admirals seen were very fresh! 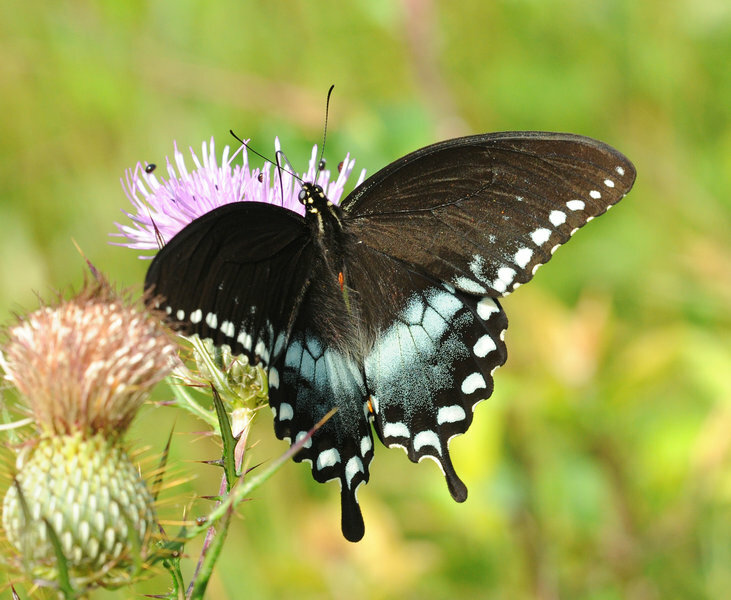 Still abundant Swallowtails, but some are getting ragged! seen briefly at 2pm as i was getting into my car to leave. 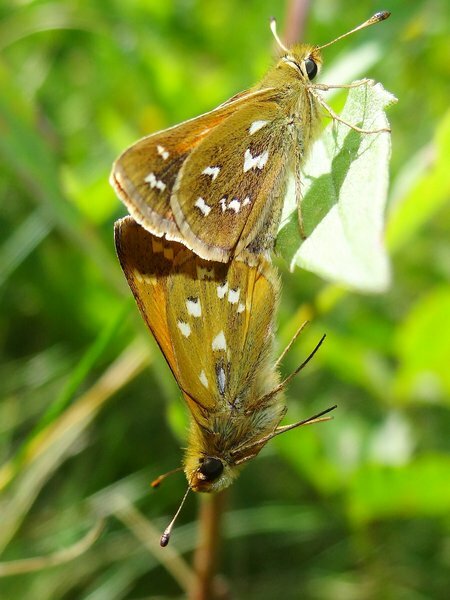 Nothing else out of the ordinary, a couple of monarchs and buckeyes, no hairstreaks. 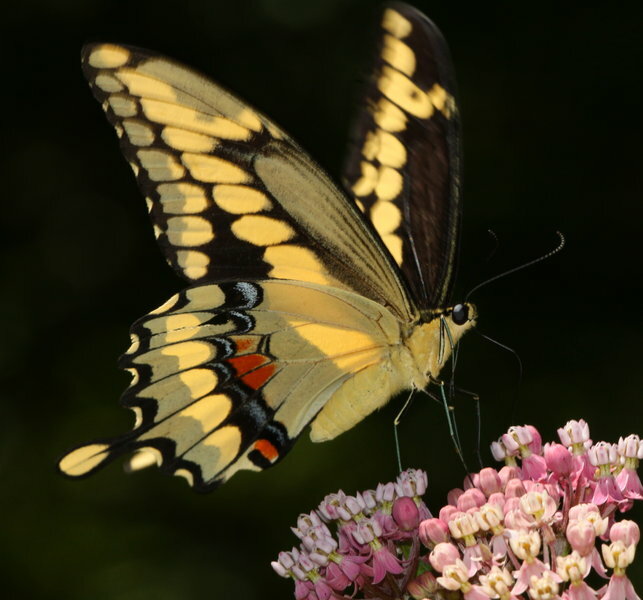 First county record of Giant Swallowtail. Very brief visit, as it began to rain and I was at the end of a long day. 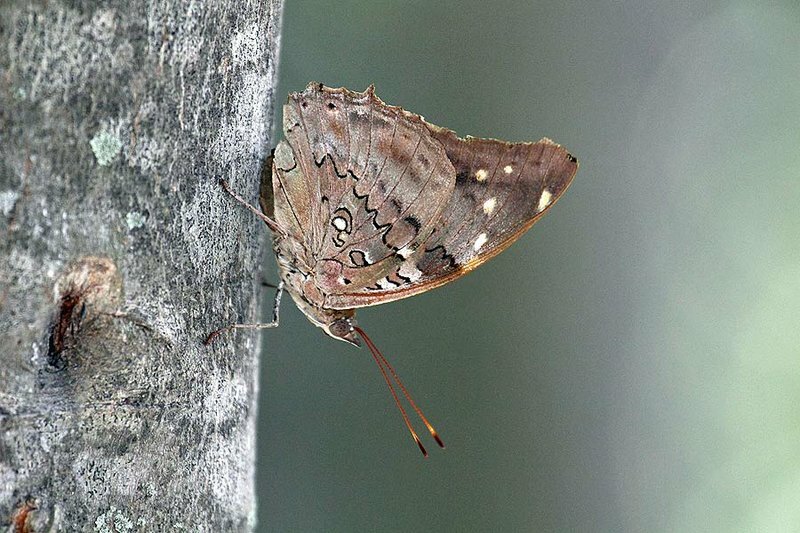 The Hackberry Emperor was seen on a Hackberrty tree near the Nature Center. 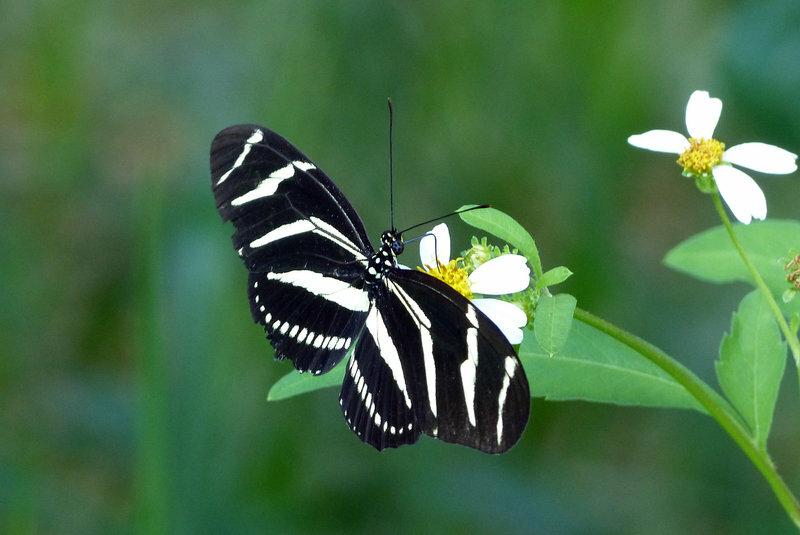 For a change, the first butterfly I saw on arrival was a Monarch! But only saw two others. In other years, many more would be observed. Absence of Common Buckeyes is striking; normally, they’d be all over the road! 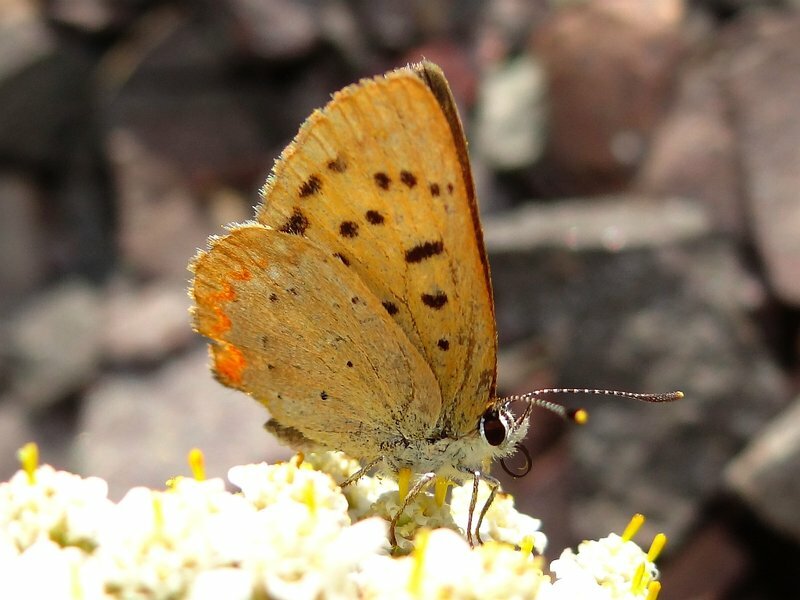 2nd brood of Bronze Coppers; of those opening wings, all were males. 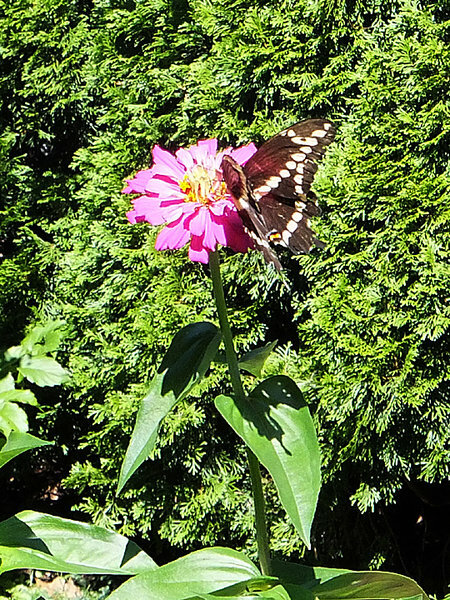 Nice emergence of Black Swallowtails here, and in my back yard! 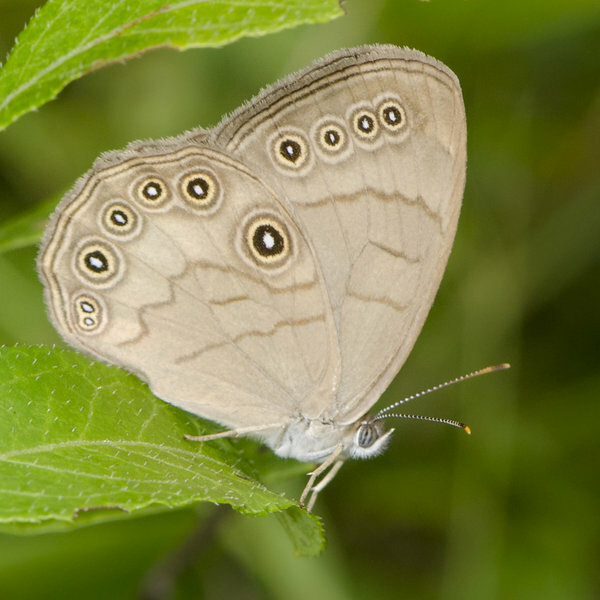 Wasn’t really looking for butterflies - - these were casually observed while looking for beetles. Sightings recorded over 4 hours and 50 minutes between 9:30 am and 3:45 pm. Temperature: 78F - 95F, sunny, some wind. 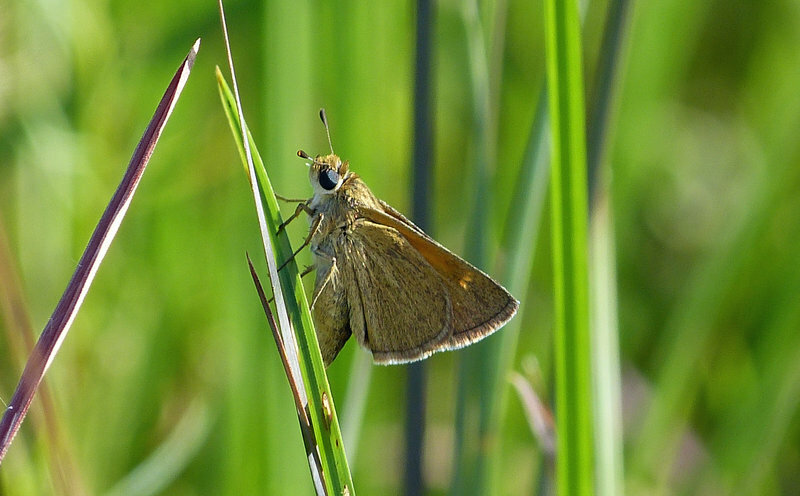 Habitat: Moist bottomland with riverside woods, fields, and marshes, and upland woods with mature forest and some adjacent grassy fields. 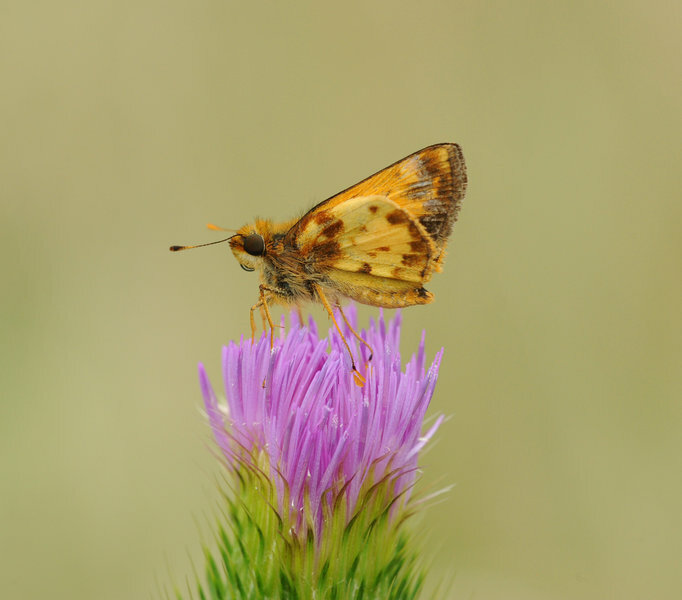 Surprisingly low numbers of Clouded and Orange Sulphurs (and others), and no Sachem or Fiery Skipper. 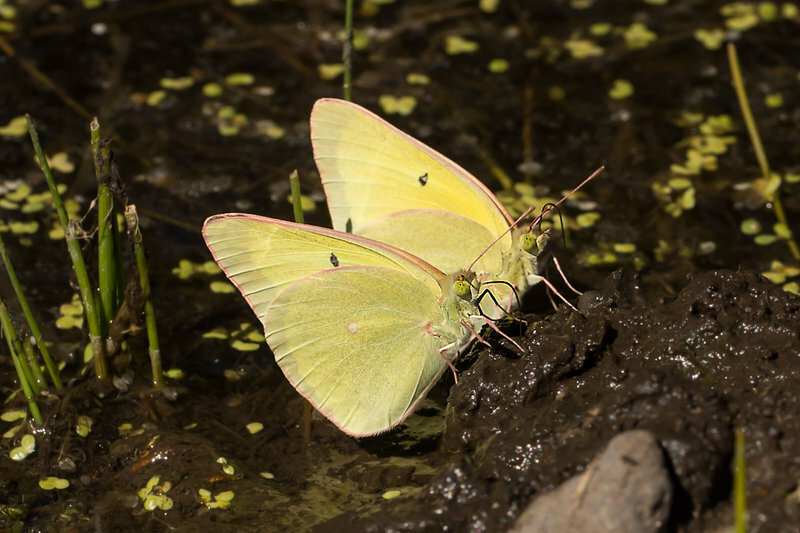 Many Pearl Crescents puddling at moist sandy streambeds. 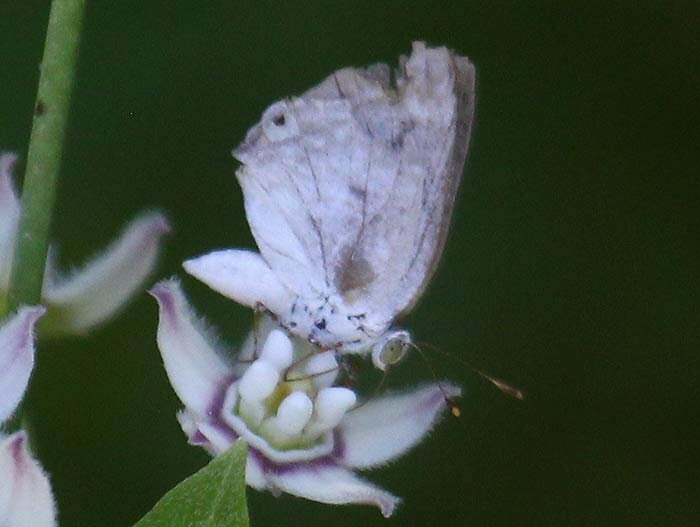 possible White Angled-Sulpur (Anteos clorinde) in backyard. Ex. 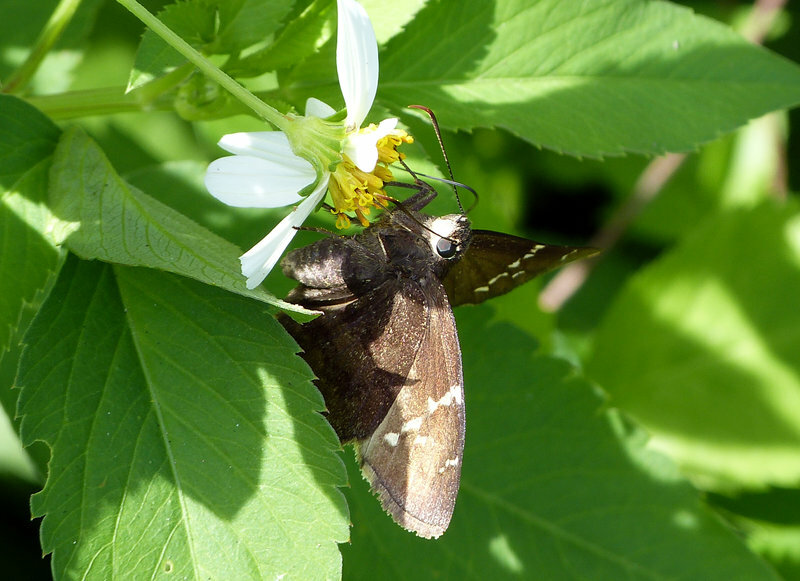 large—3+ in., white above, black forewing spot. 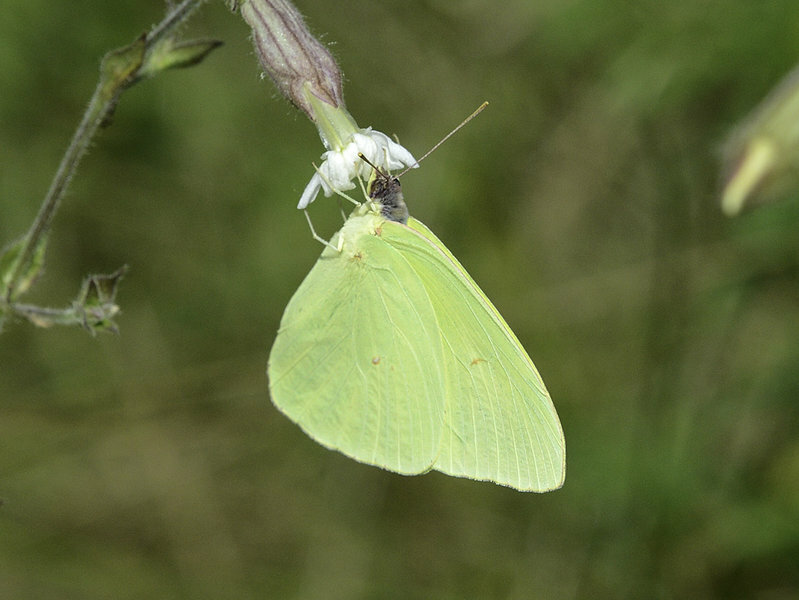 Underside lime green with angled wing & bulging veins-lighter in color than background of underwing. 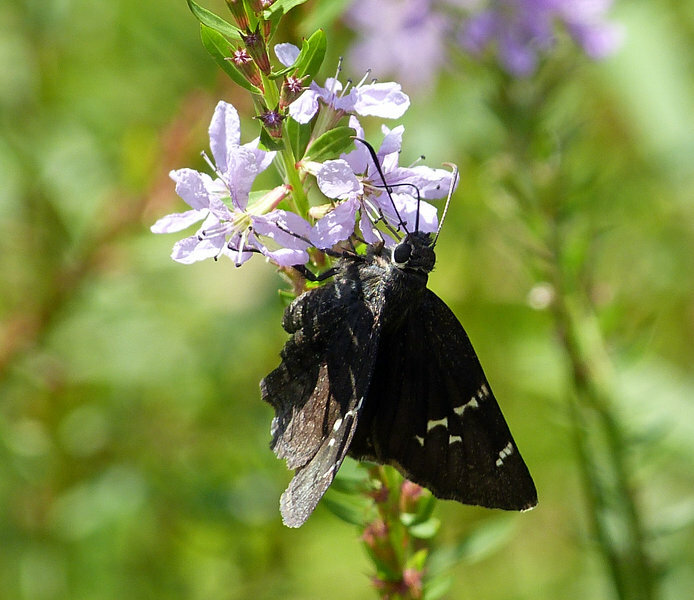 Landed on Obedient Plant (Physostegia virginiana), allowing good view of closed underwing. took off before I could get a photo. 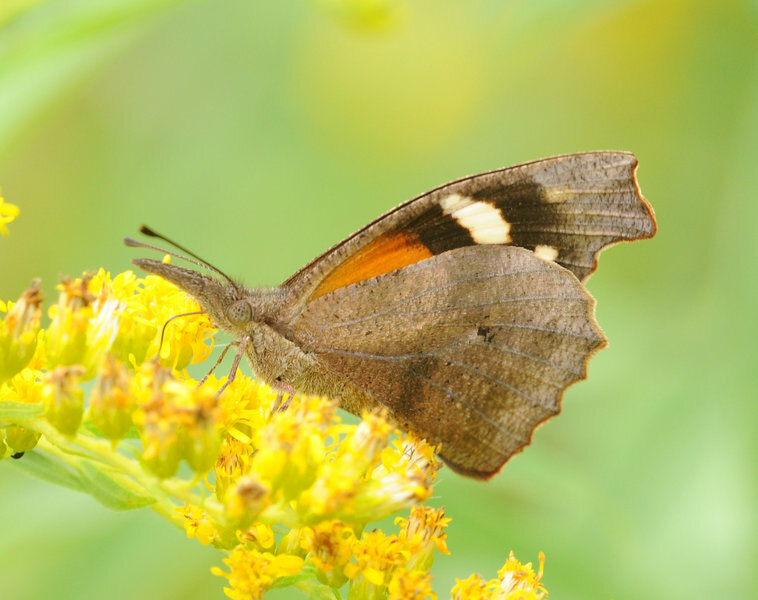 Listed as “occ: in Rio Grande Valley, but individuals do wander north in late summer. We have had steady south winds in Dallas area & warm temps. 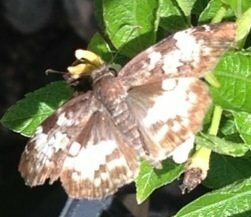 Has anyone seen this species in Dallas Area? Extensive time in the general park, special permit areas and nearby road fields. Weather was overcast throughout, with persistant periods of light rain. 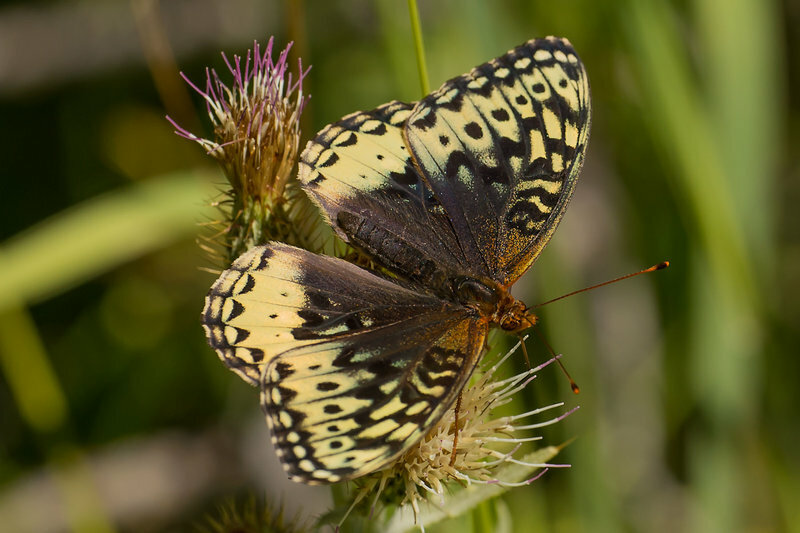 The Flint Hills were graced with a cool and wet August this year, allowing plants and Lepidoptera to flourish (relative to last year’s blast-furnace drought). The end of August and much of September look to be hot and dry much like is typical for our region. I wish I saw more posts on here from the Midwest!!!! 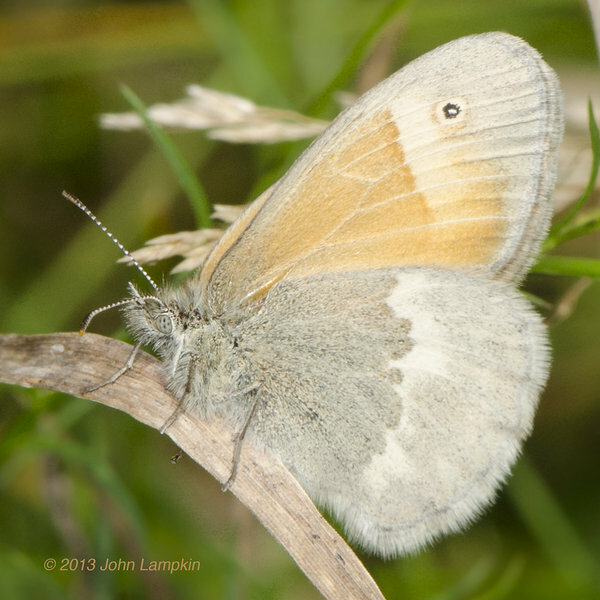 I was surprised to see a Common Ringlet at this uncommon time of the year. 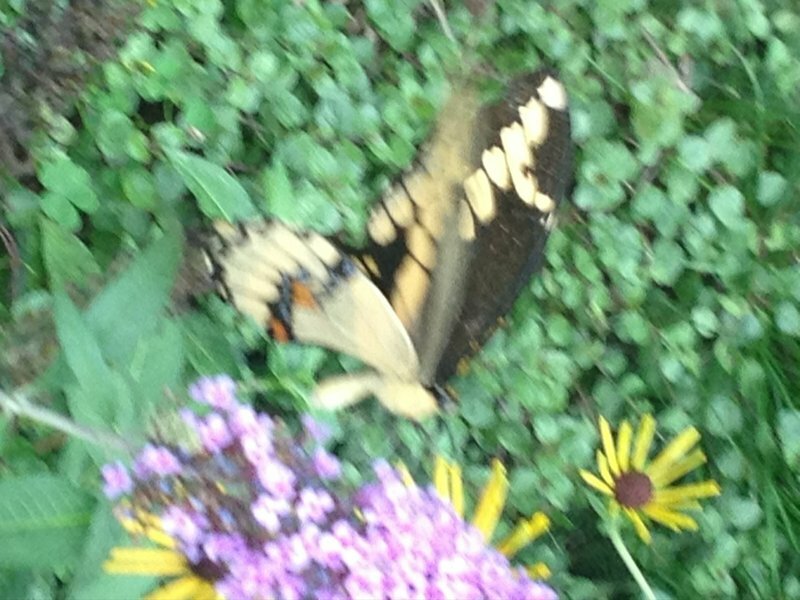 My first ever Giant Swallowtail! It stuck around long enough for me to get my camera. 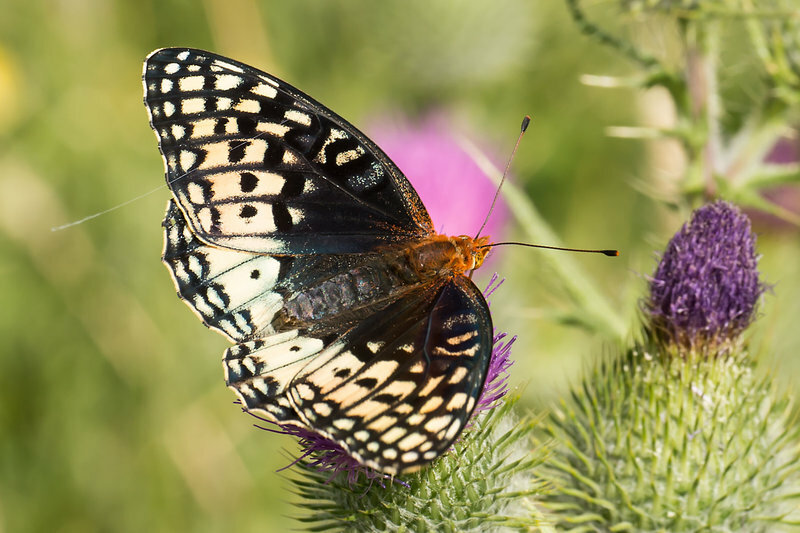 Last year I planted two Northern Prickly Ash shrubs with the hope that these might eventually attract some Giant Swallowtails. Did they have anything to do with this sighting? I don’t know! Seen in the last few days of August. Atala’s seen from the deck, viewing into the restricted area. Photos were digiscoped. First Giant Swallowtail seen at this location for 2013.
highlight of a mid afternoon visit, other notable species were a single gray hairstreak, several monarchs and salt marsh skippers, and a black swallowtail ovipositing on some low plants in the gravel beds of the parking area. This is the 12th consecutive year we have found Sachems this far north on the south shore of Lake Superior in Wisconsin. Along Bully Choop Road in Whiskeytown NRA about 12 miles from Hwy 299. 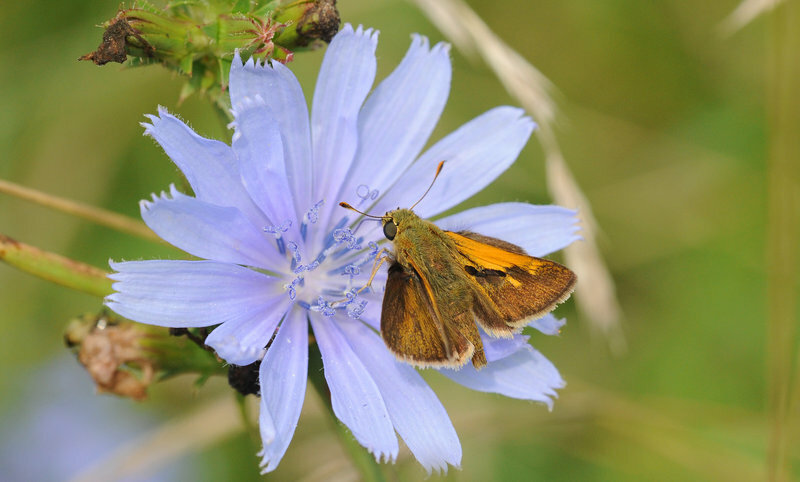 Habitat: Large flower beds spread among lawn at public park. First of year Painted Lady! 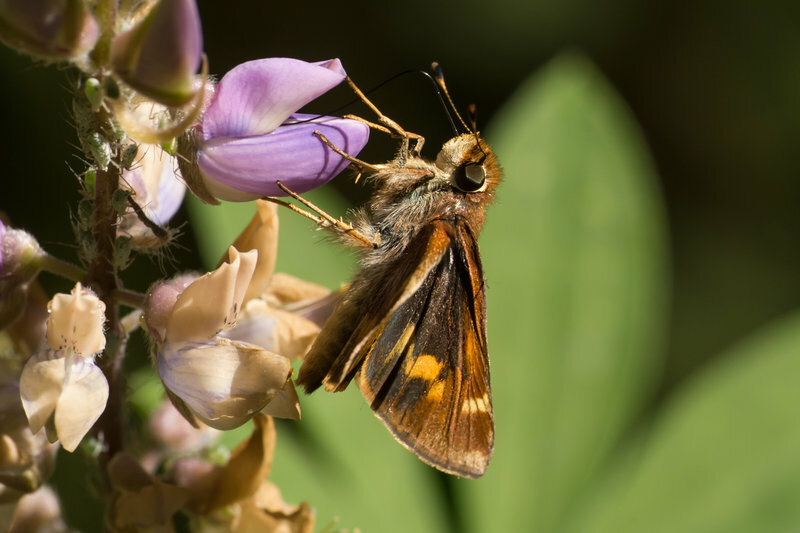 Recent rains are a boon to native plants with many wildflowers in bloom. Entrance along Beehead Rd and Powerline Rd were survey areas. 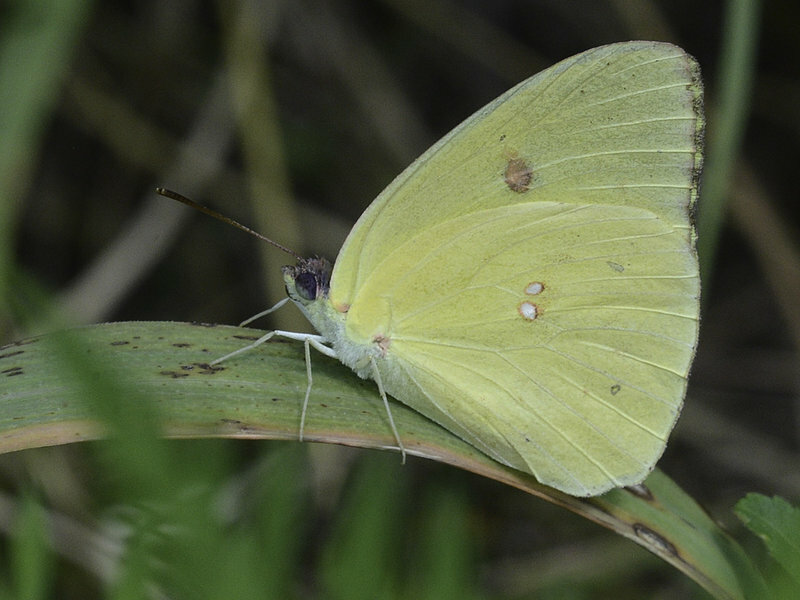 Small colony of Cuban Crescents are north of expected range. Linda Cooper, P. Fellers, L. Lane.